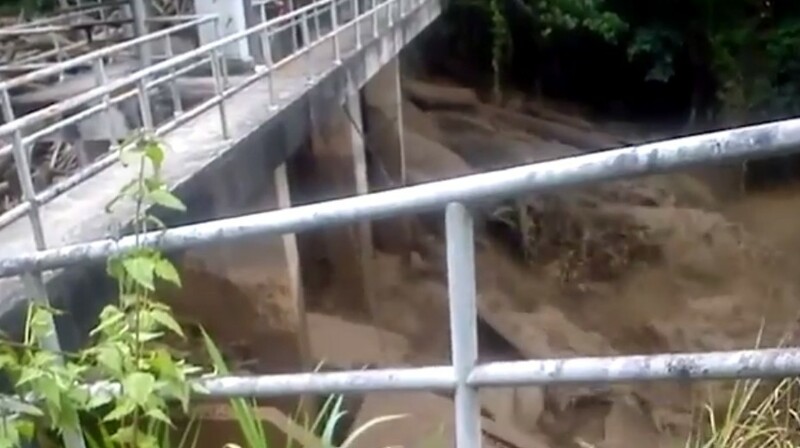 Ongoing effort: Officials trying to clear the silt after heavy mudflow into a water intake point in Ranau's Sungai Liwagu forced it to shut down. 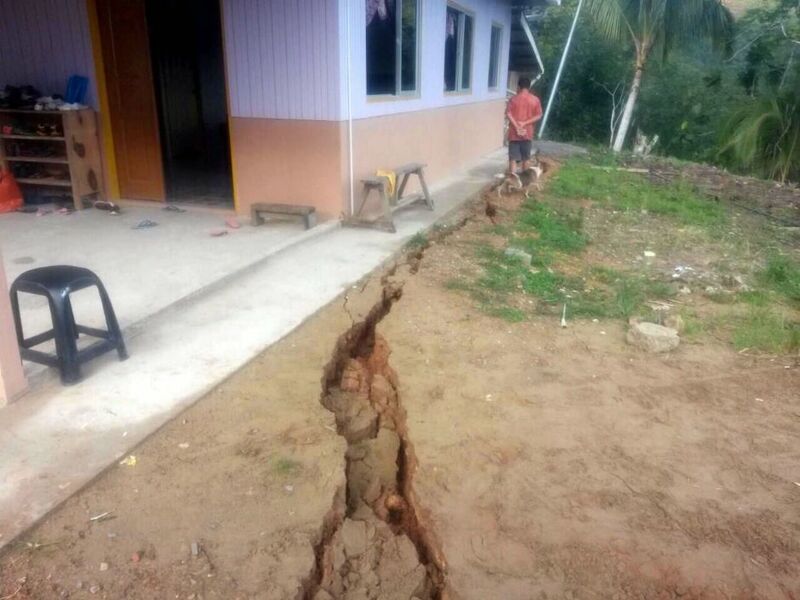 KOTA KINABALU - Heavy mudflows from Mount Kinabalu continue to torment villagers, two months after the earthquake that killed 18 people. 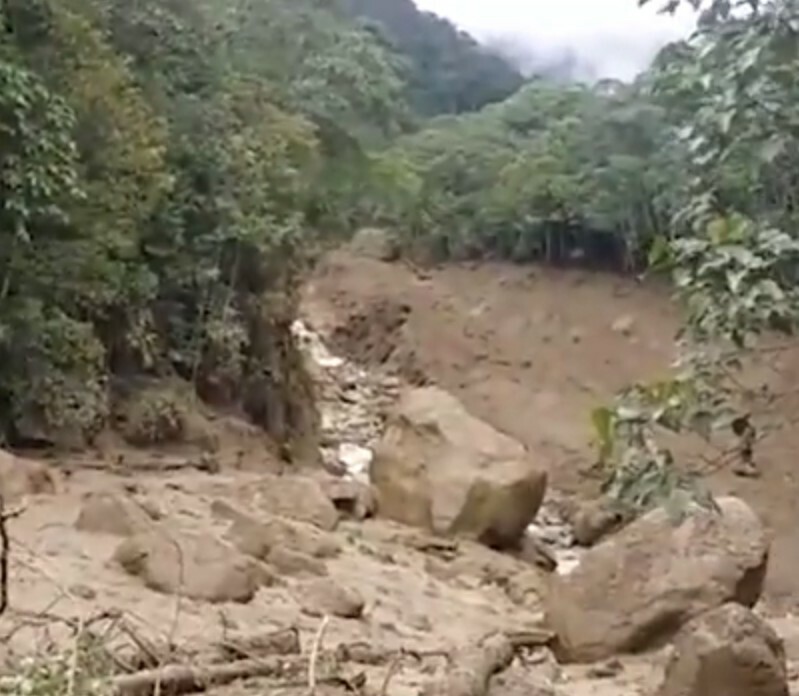 The mudflows, responsible for flash floods and mudslides, were also choking the rivers. 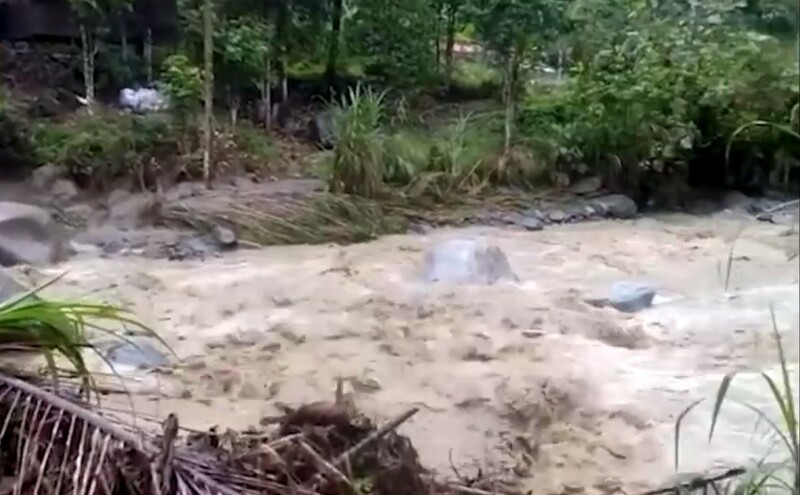 Days of continuous downpour earlier last week triggered flash floods in Kg Malangkap, Kota Belud, on the eastern foothill of the mountain on Friday. 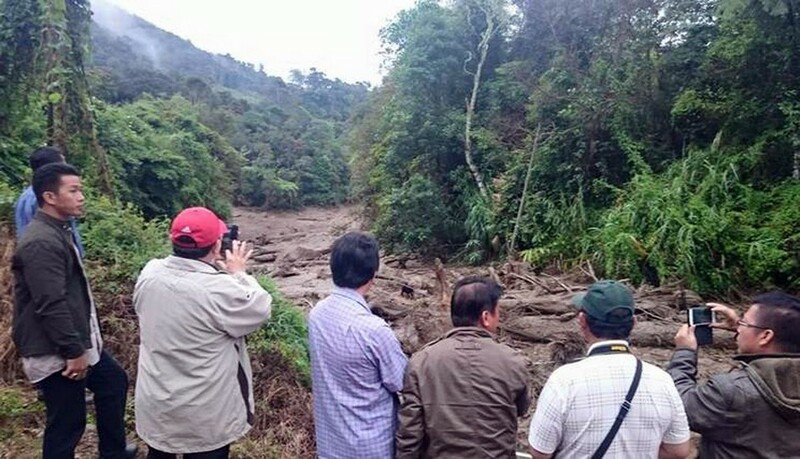 Fresh mudflows into Sungai Liwagu clogged water intake points, forcing temporary shutdowns on Saturday. 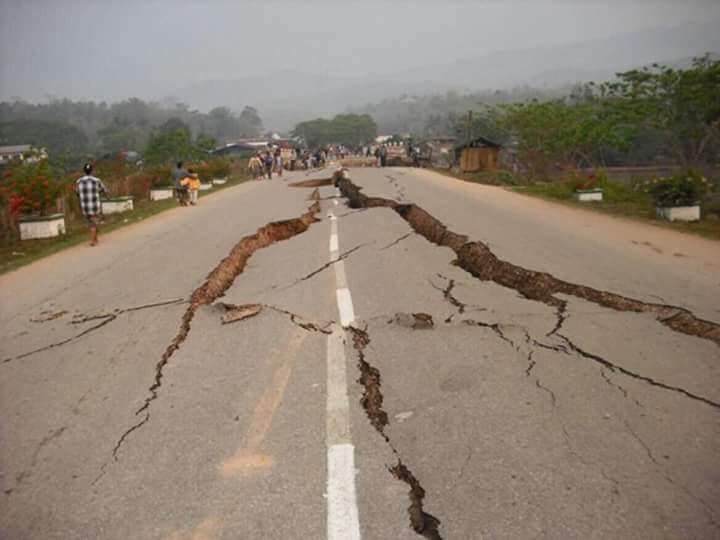 The rains which continued to wash down debris from the mountain had affected the people, who are trying to get their life back to normal after the June 5 earthquake. 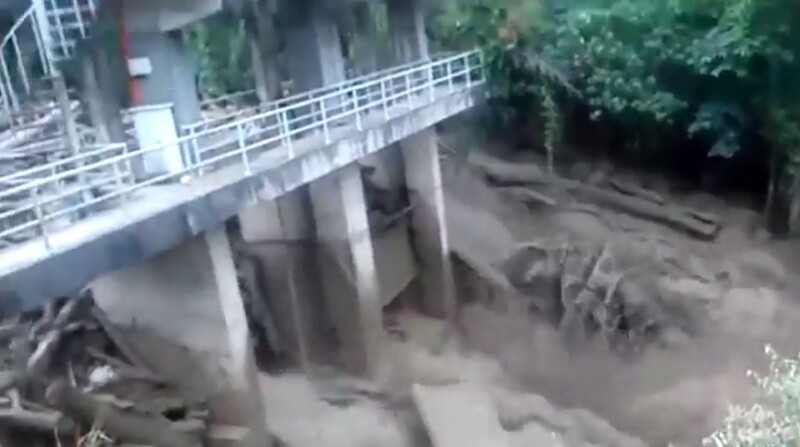 Flash floods, triggered by heavy rains since Tuesday, damaged road links, washed away three hanging bridges, a homestay and electricity poles as well as destroying crops. 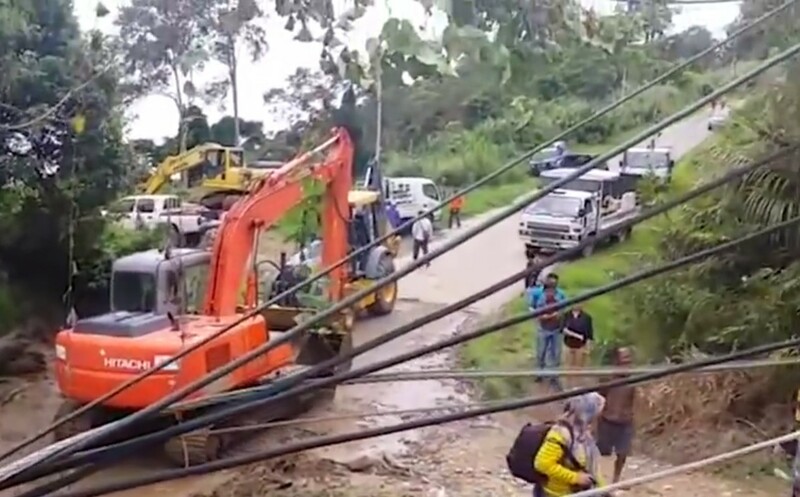 Kota Belud district officer Abdul Gari Itam said yesterday that efforts were underway to get power supply restored to the village. 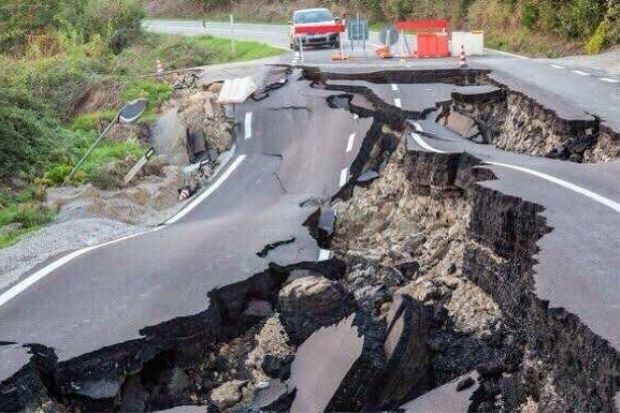 The access road was now open to vehicles. 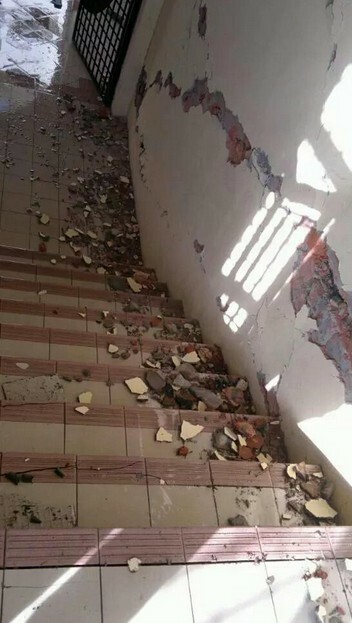 He said they were seeking funds to carry out repairs. 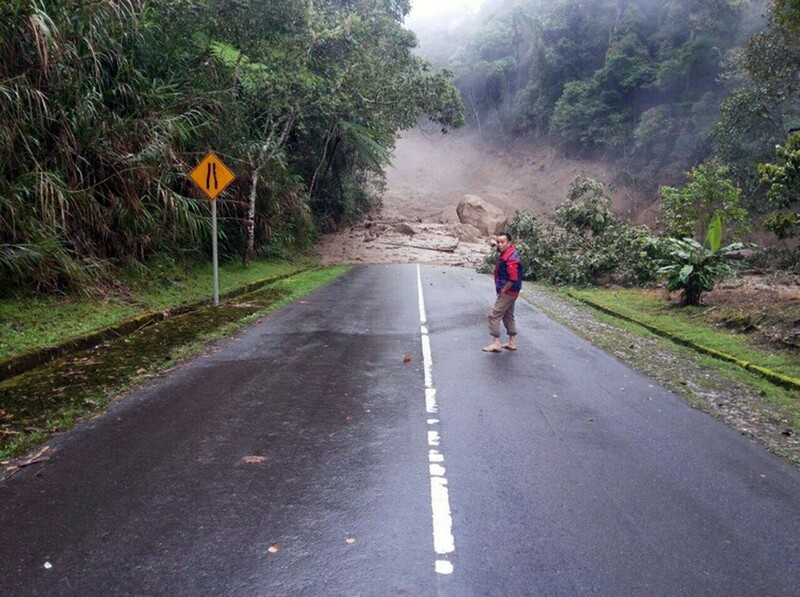 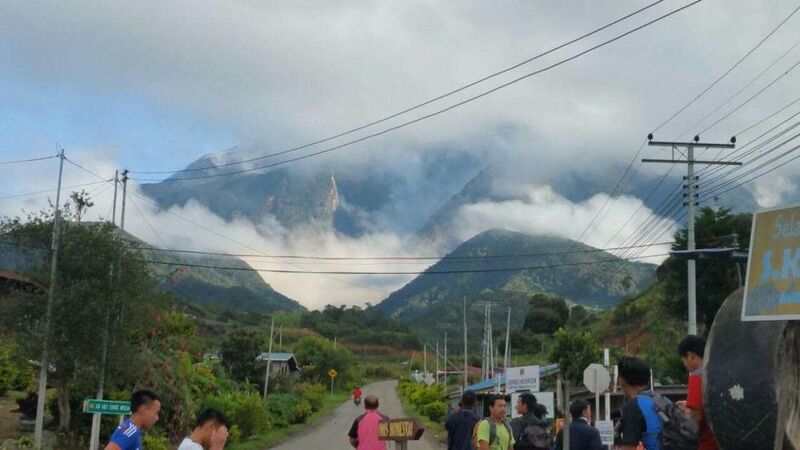 The mudflows from the eastern face of the mountain into Sungai Liwagu had temporarily forced the shutdown of two water intake points that provided water supply to Ranau town and neighbouring villages. 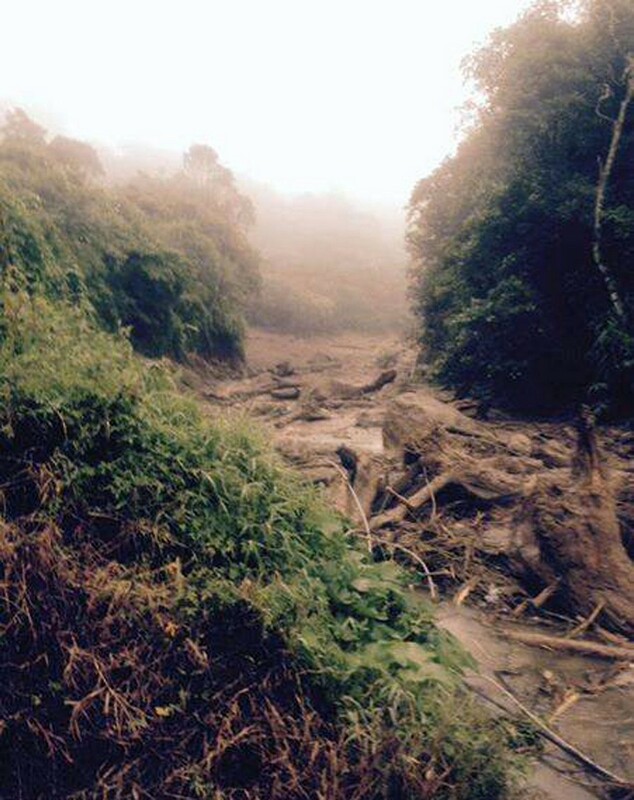 Engineers have managed to restart the Bambagan intake point to resume water supply. 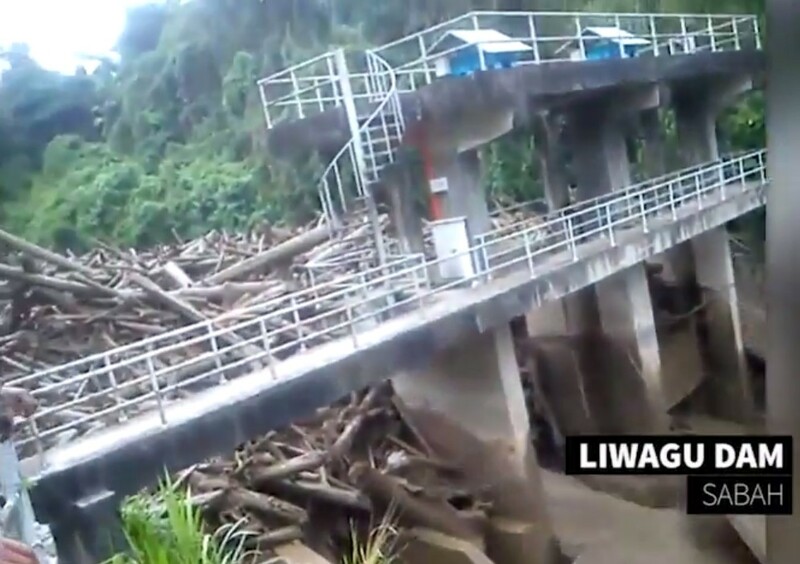 Work is being done to clear debris at the Kimolohing water intake point which had been shut down following heavy rains last week. 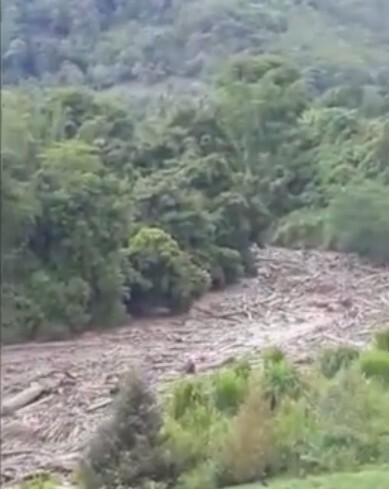 Tonnes of boulders and uprooted trees which choked the intake points since the June 15 floods were only cleared up recently. 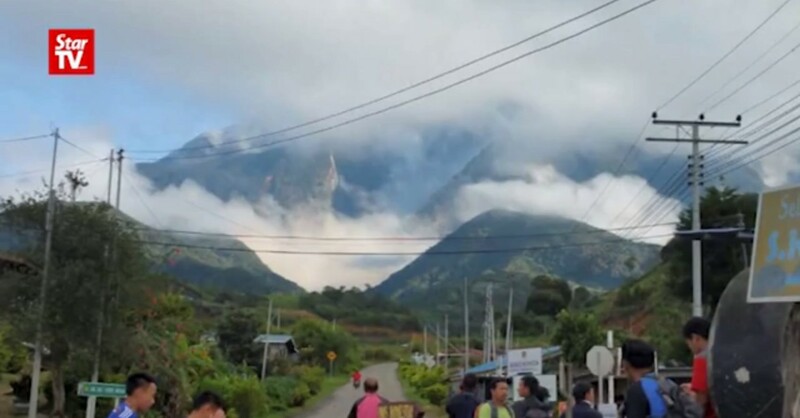 The latest mudflow is hampering efforts to restore stable water supply to districts in a valley of Mount Kinabalu's Crocker Range. 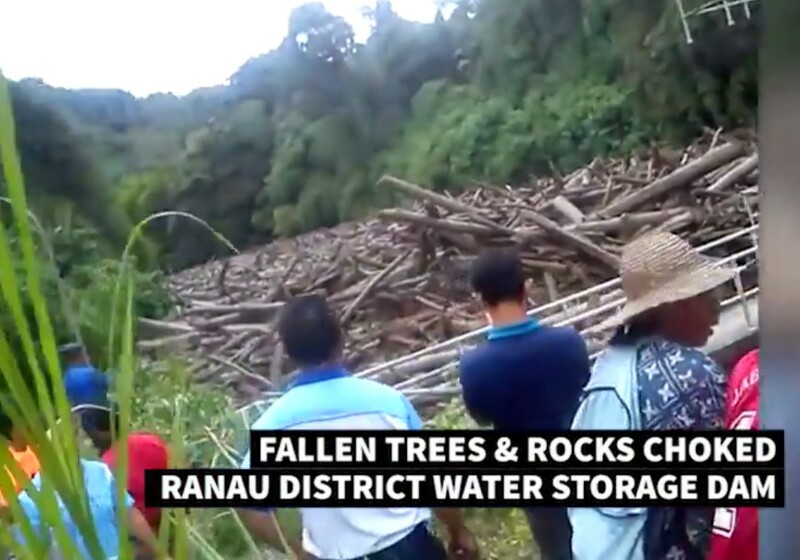 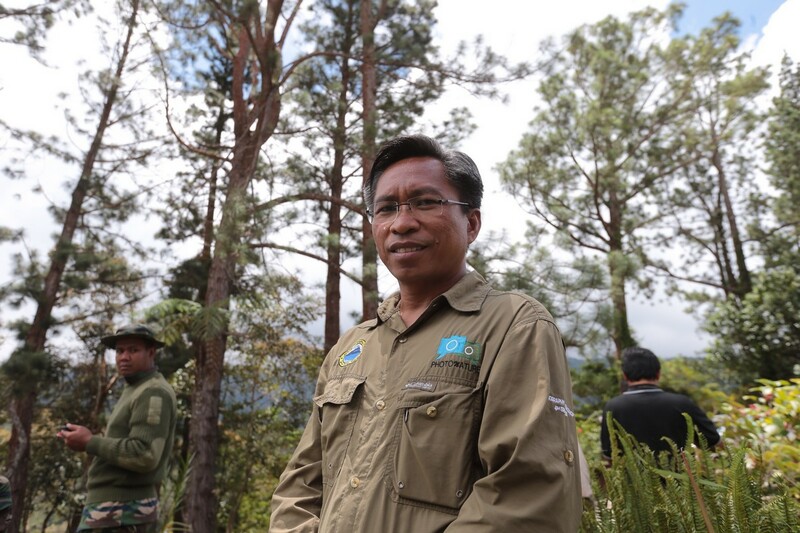 "There seems to be no end to our clearing efforts," Ranau district water engineer Anthony Jullah said. 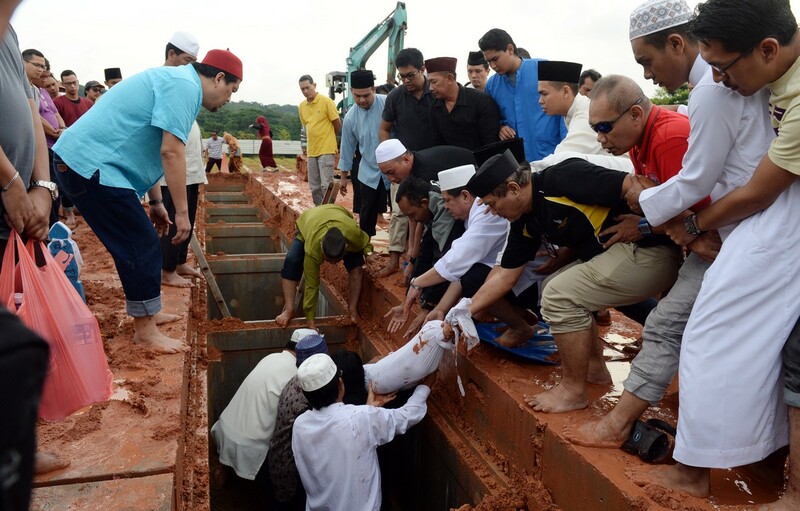 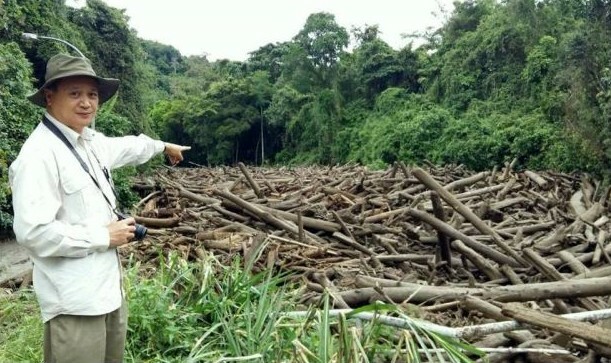 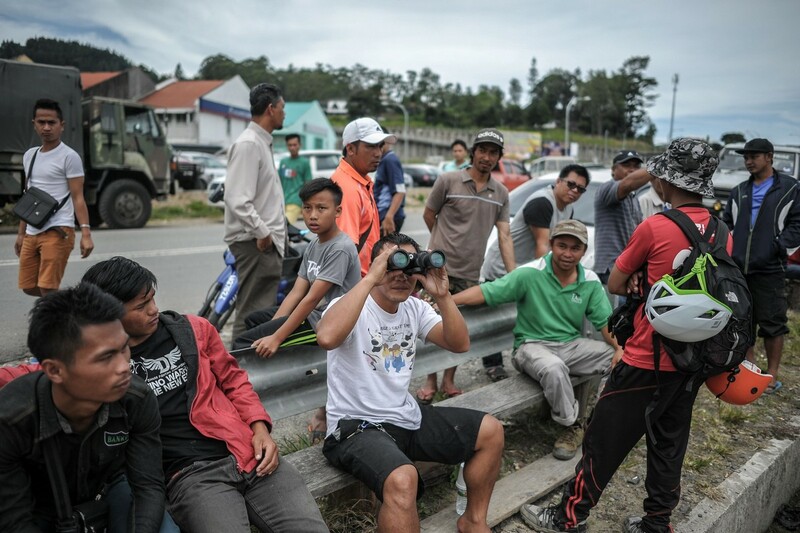 "There are no more trees or logs washed down but we are getting heavy siltation from the mountain," he said, adding that they were proposing to build a water intake point in Sungai Kenipir to solve the recurring problem at Sungai Liwagu. 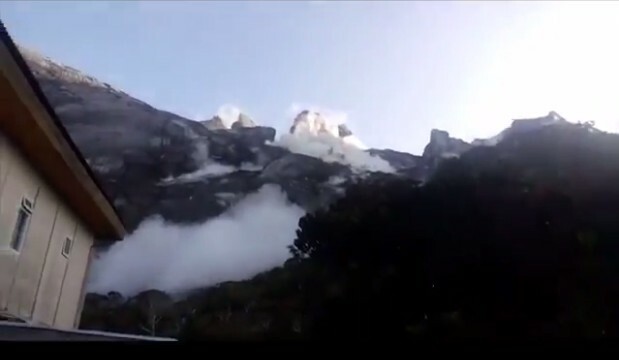 On June 5, a 5.8 magnitude earthquake left 18 people dead in Mount Kinabalu in Ranau. 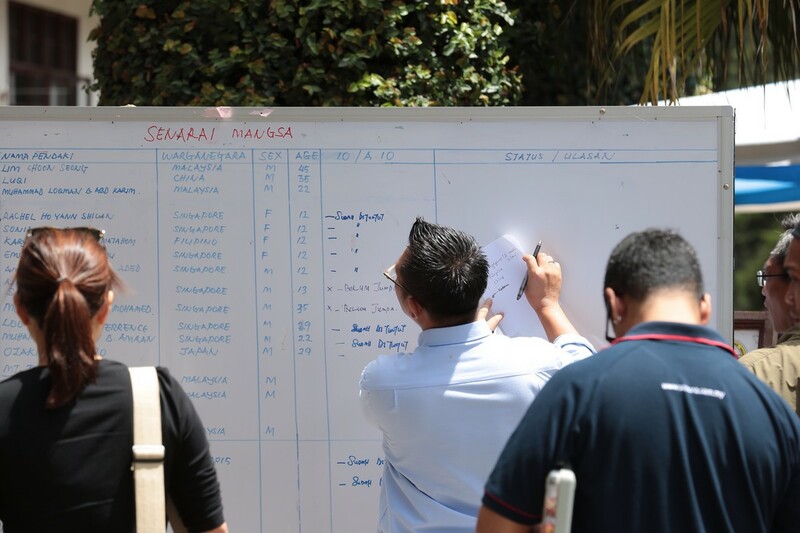 A PGA of 0.05g was calculated for Kota Kinabalu, which was 50-60km away from the epicentre of the quake. 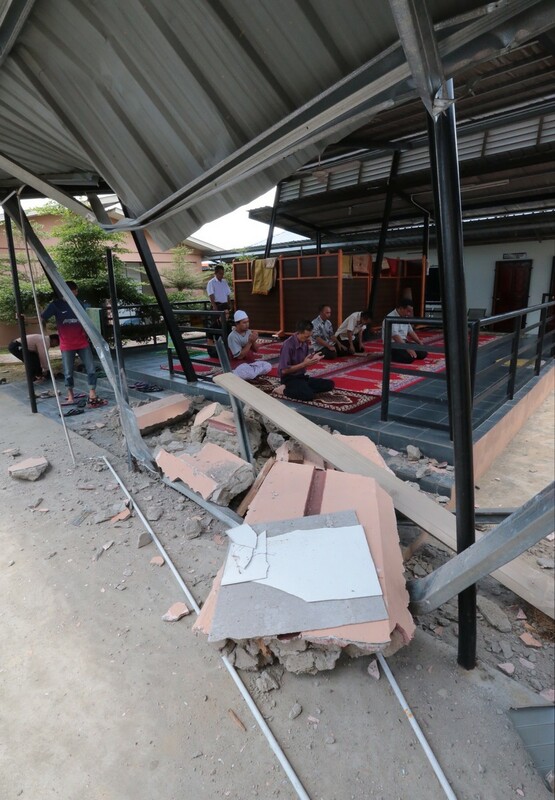 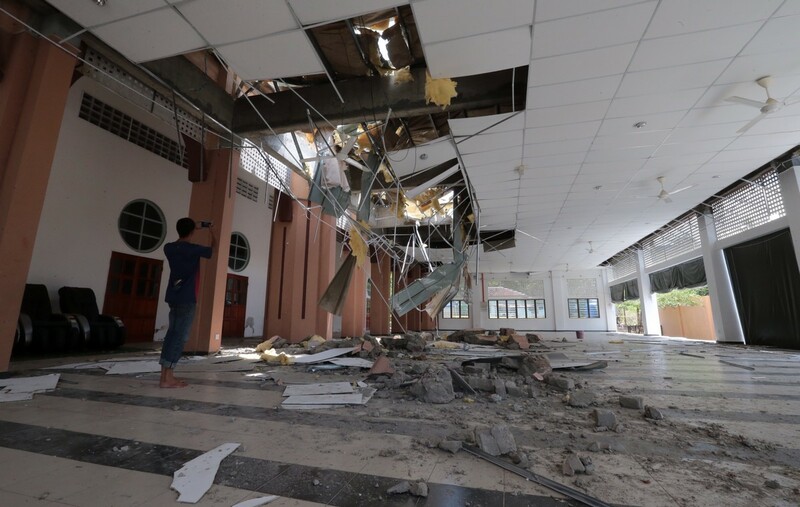 The Masjid Ranau was seriously damaged in the earthquake. 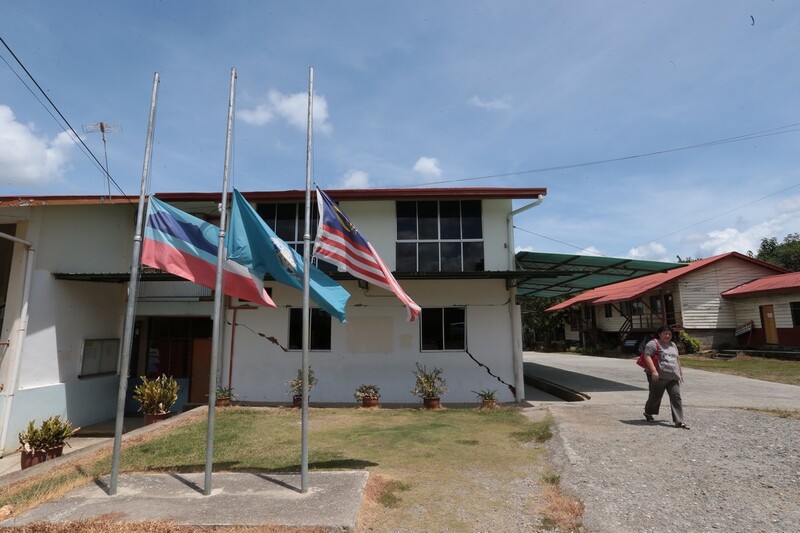 Flags flown at half-mast at a school in Sabah that was damaged in the earthquake. 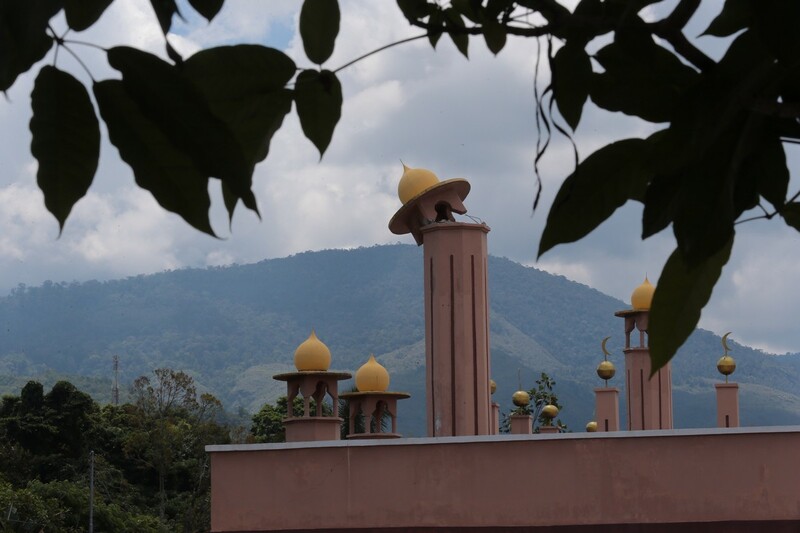 A spire of the Masjid Ranau was damaged in the earthquake. 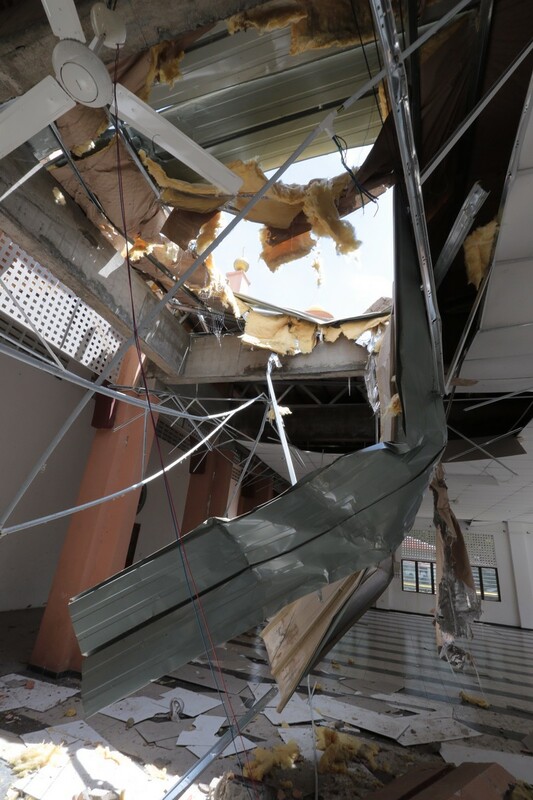 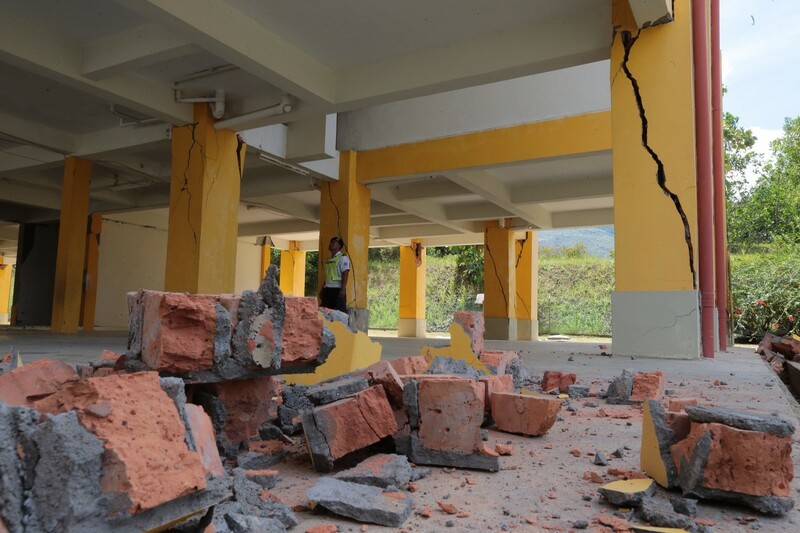 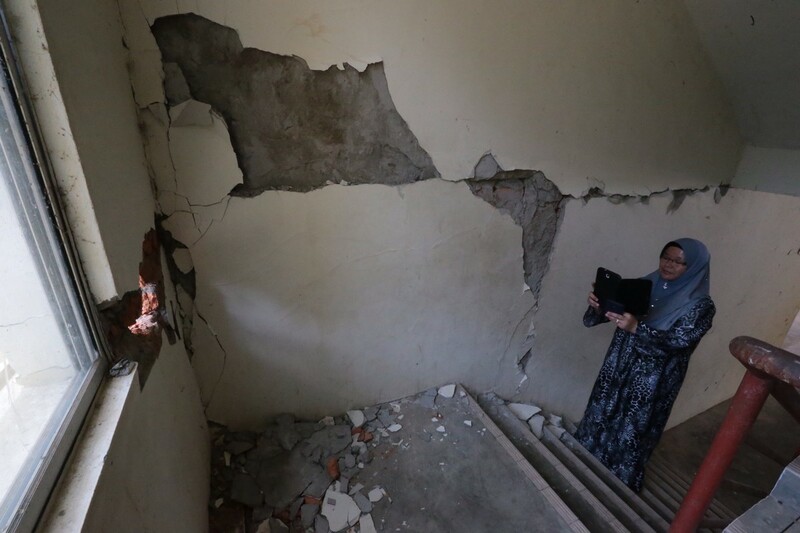 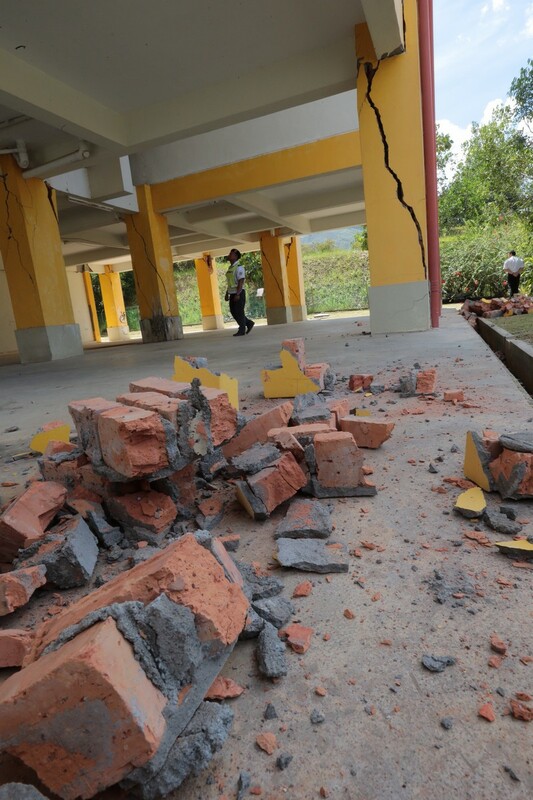 SMK Ranau school's teacher quarters were destroyed but fortunately no one was hurt. 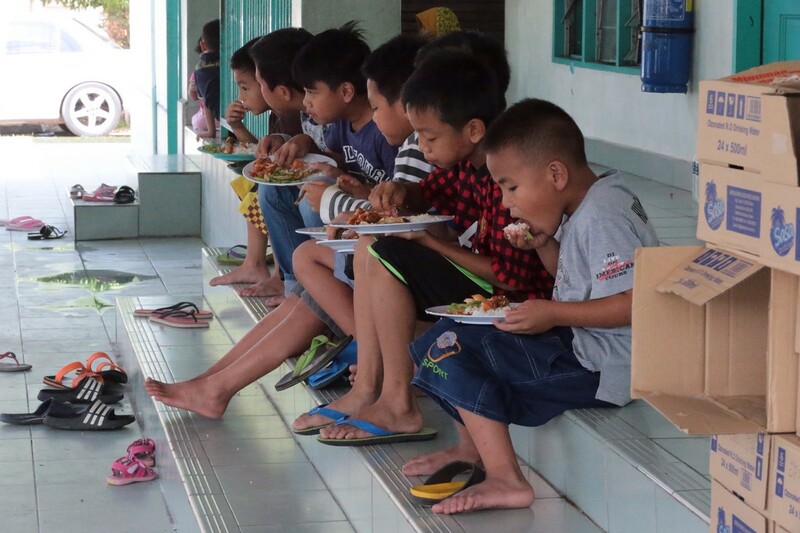 Displaced children eating their meal at a mosque. 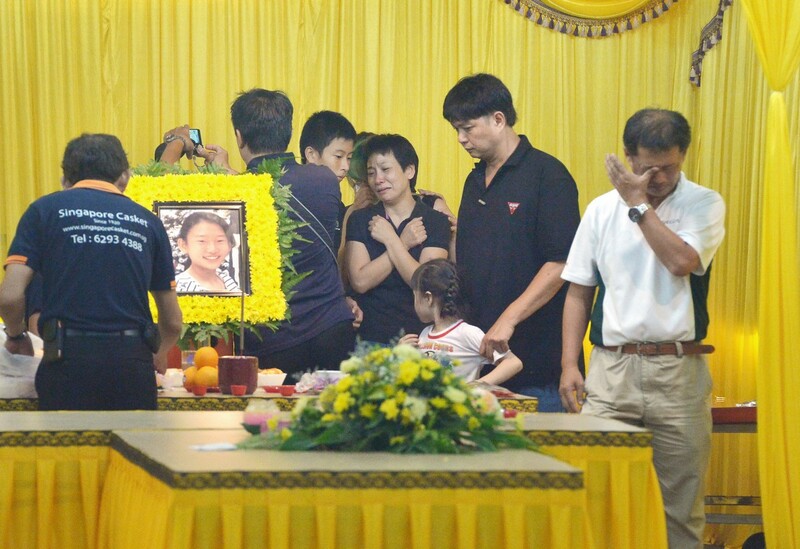 Peony Wee Ying Ping, 12, dead. 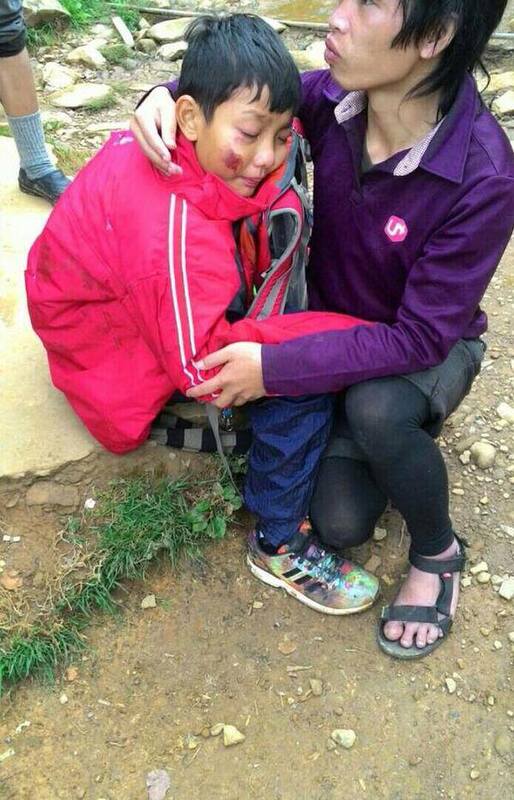 Her father didn't want her to go for the trip, so she begged her mother, who relented. 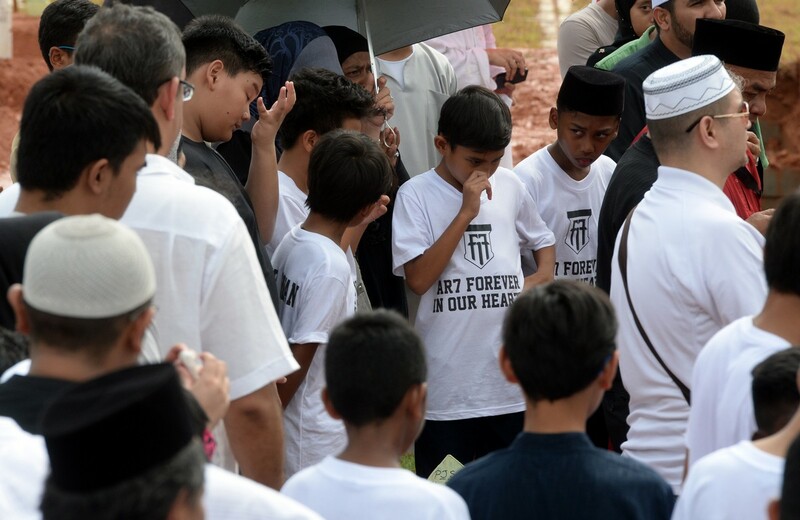 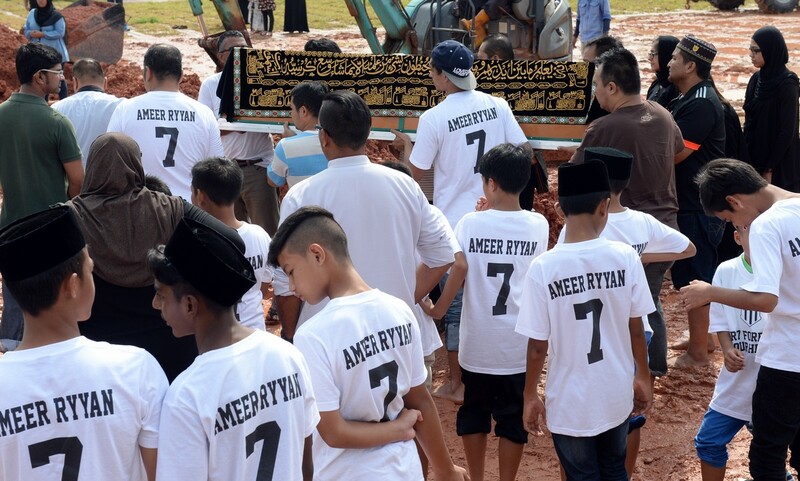 Ameer Ryyan Mohd Adeed Sanjay, 13, dead. 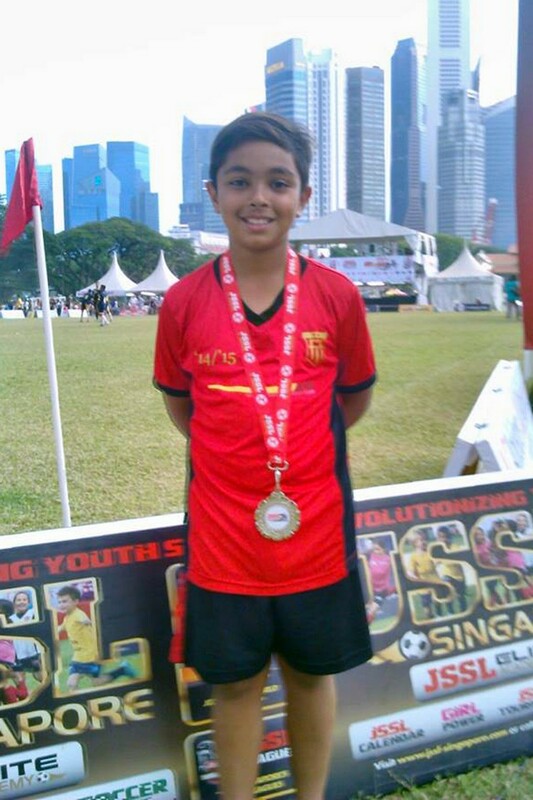 He attended the F-17 Academy started by football icon Fandi Ahmad. 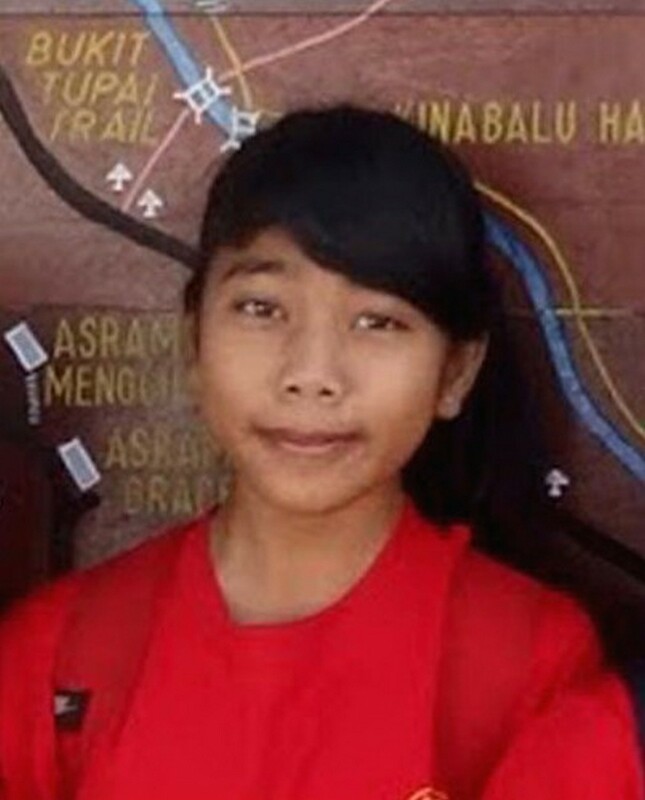 Emilie Giovanna Ramu, 12, dead. 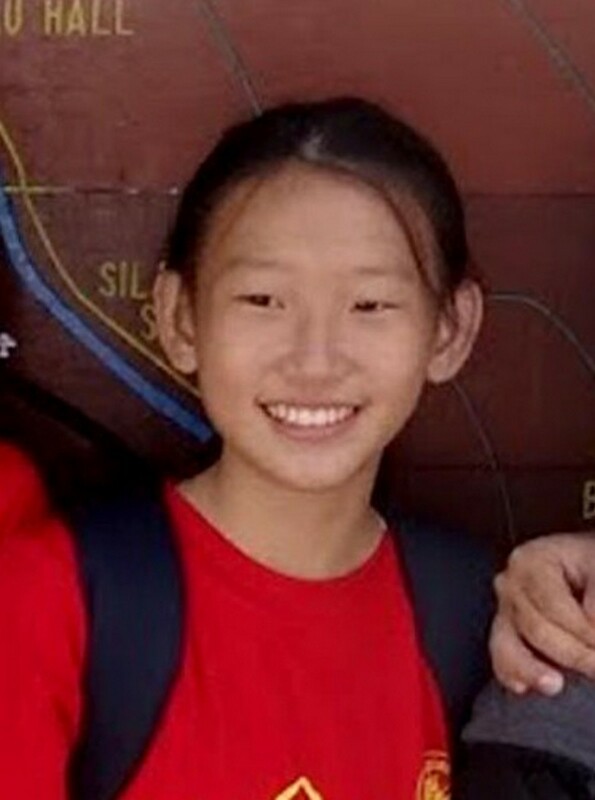 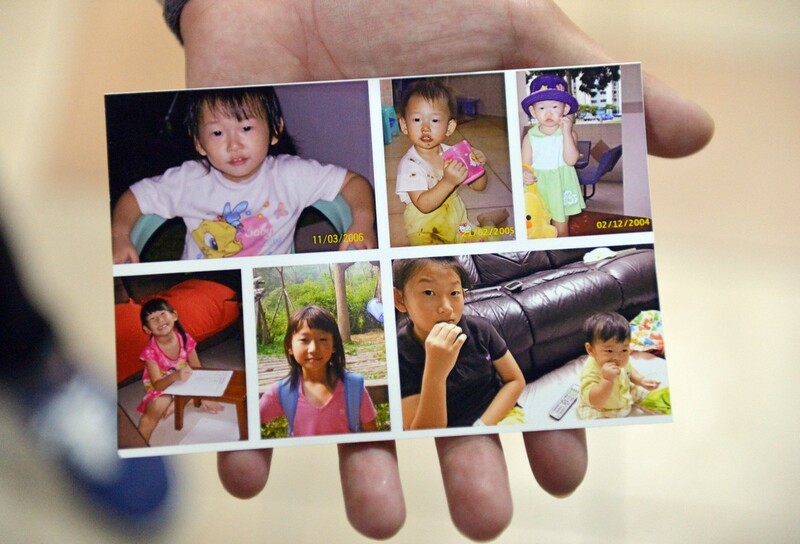 Rachel Ho Yann Shiuan, 12, dead. 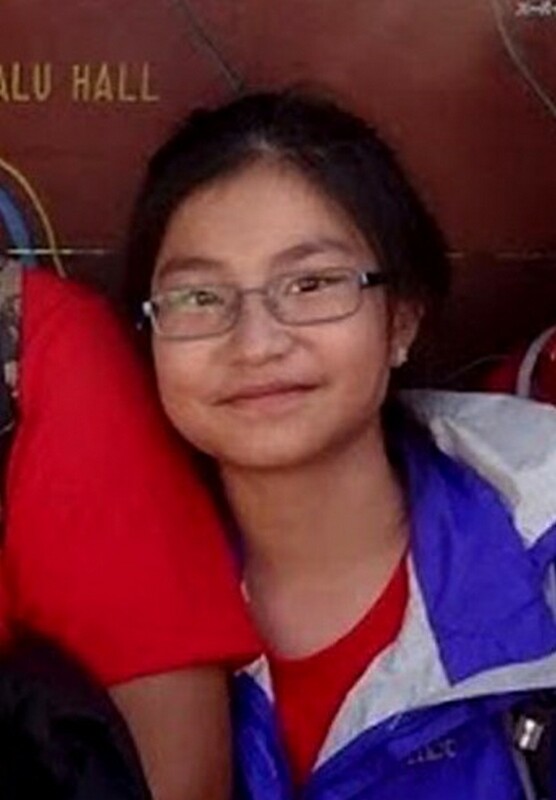 Matahom Karyl Mitzi Higuit, 12, dead. 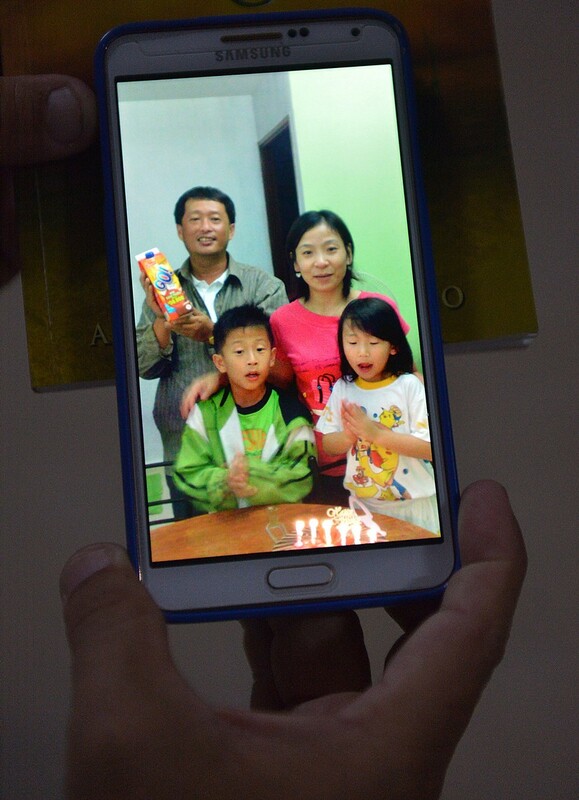 The Filipino-Singaporean, whose family moved here over 10 years ago, had planned to travel the world with her parents. 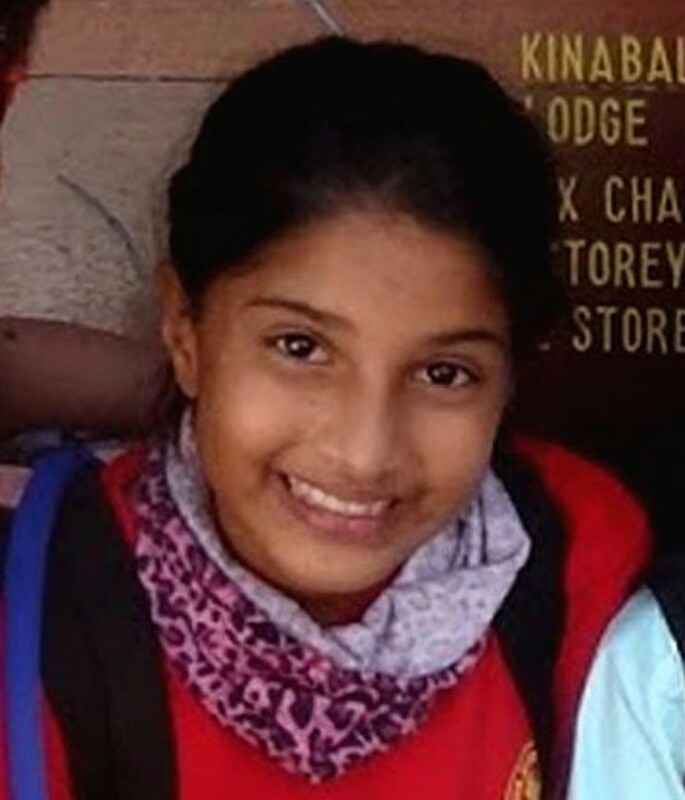 Sonia Jhala, 12, dead. 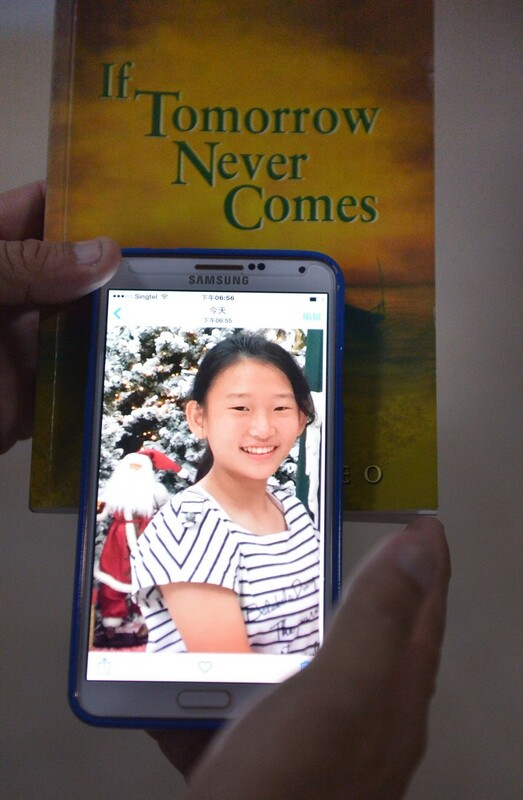 She had been looking forward to the trip since she was in Primary 4. 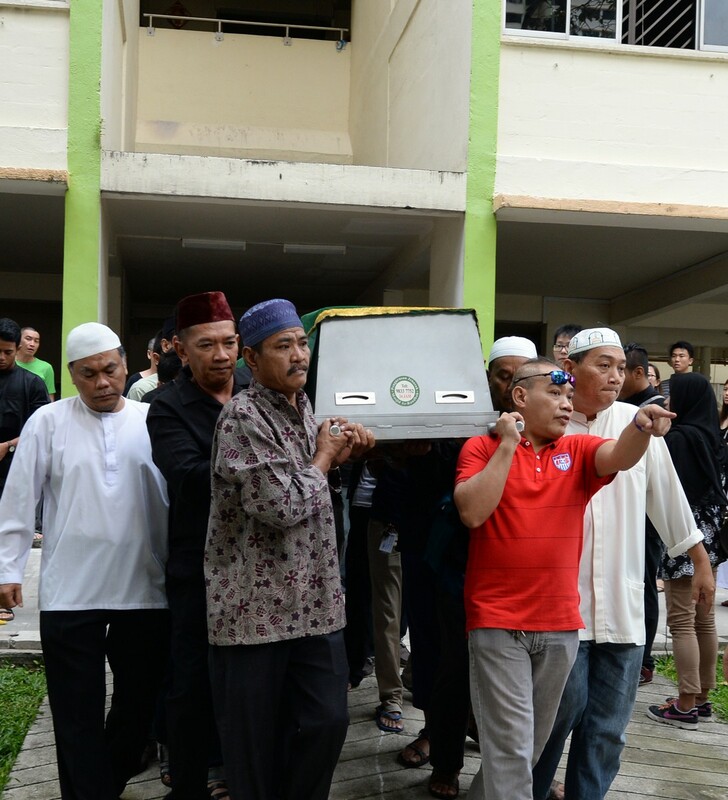 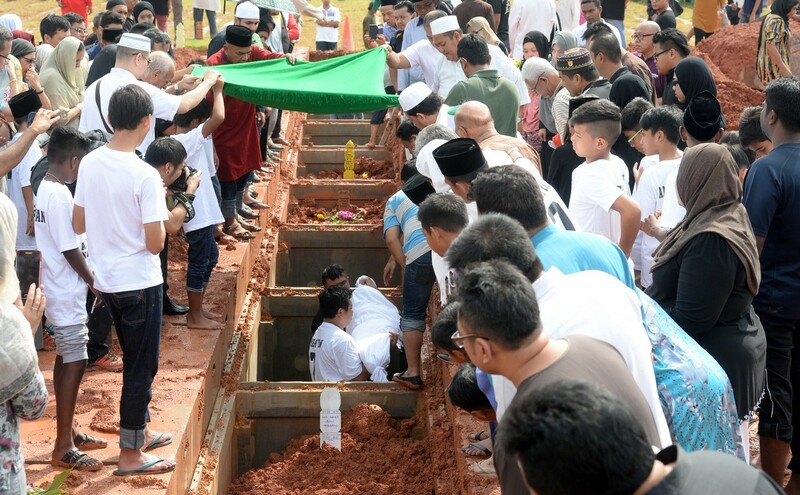 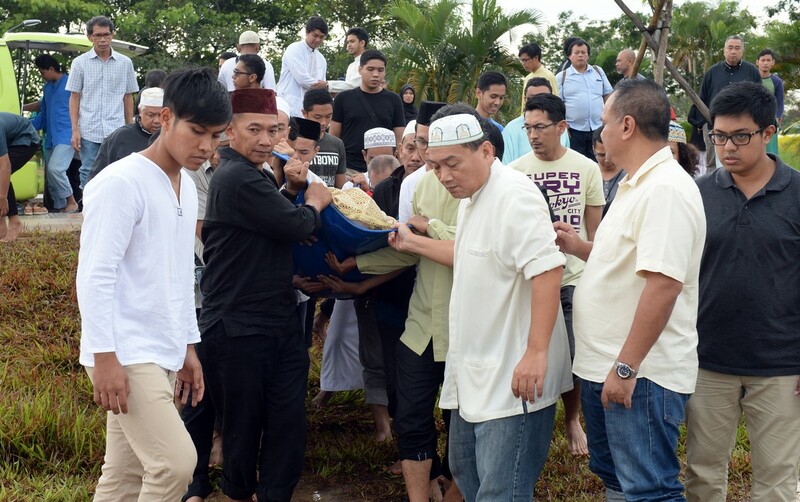 Muhammad Daanish Amran, 22, dead. 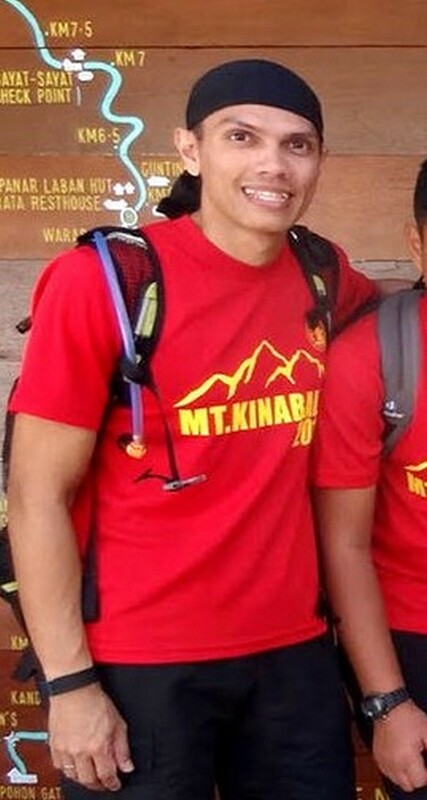 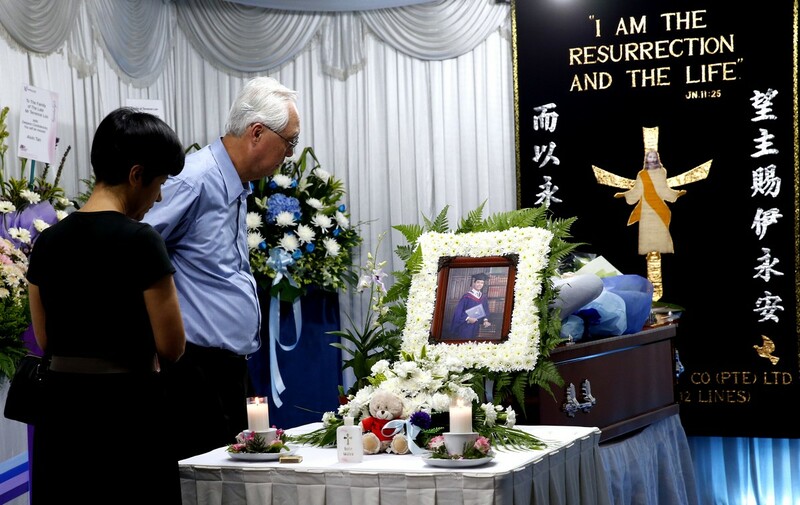 He was a Singaporean guide and his colleagues believed he had sacrificed himself to save others. 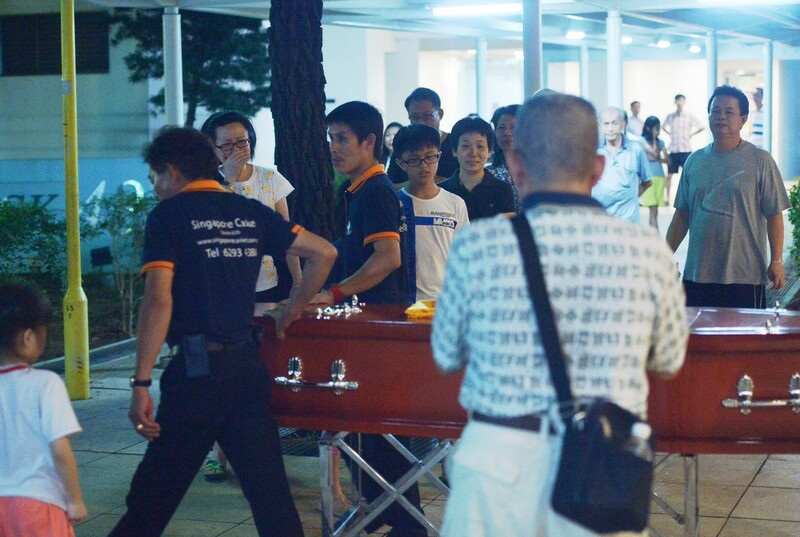 Loo Kian Liang Terrence Sebastian, 28, dead. 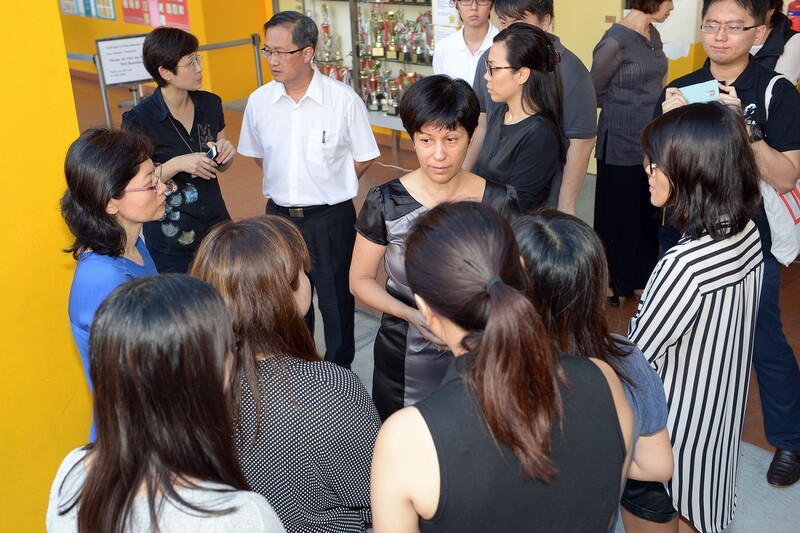 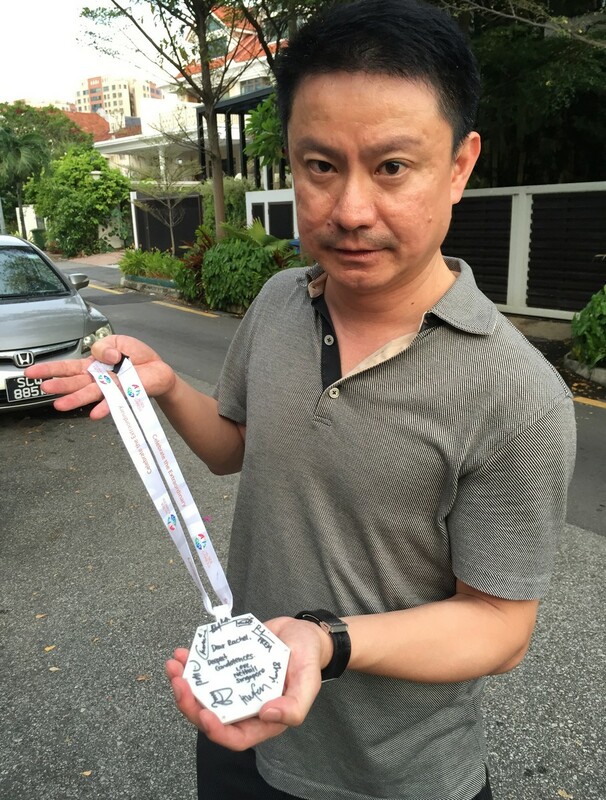 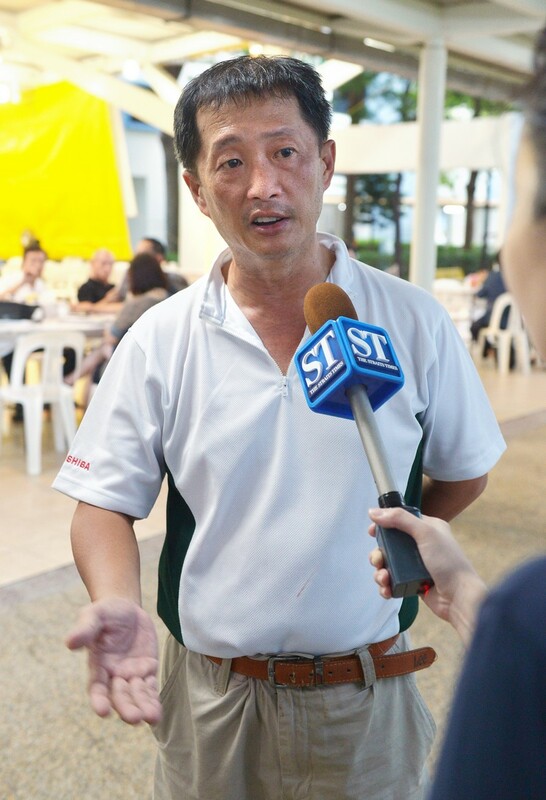 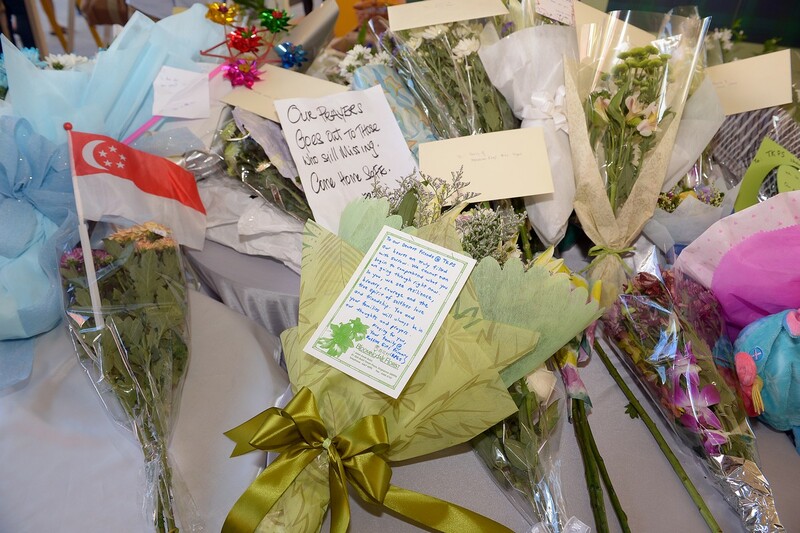 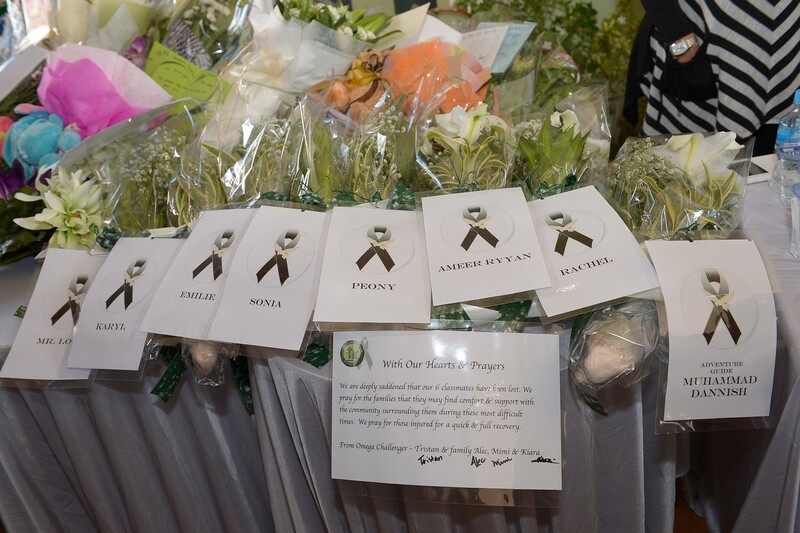 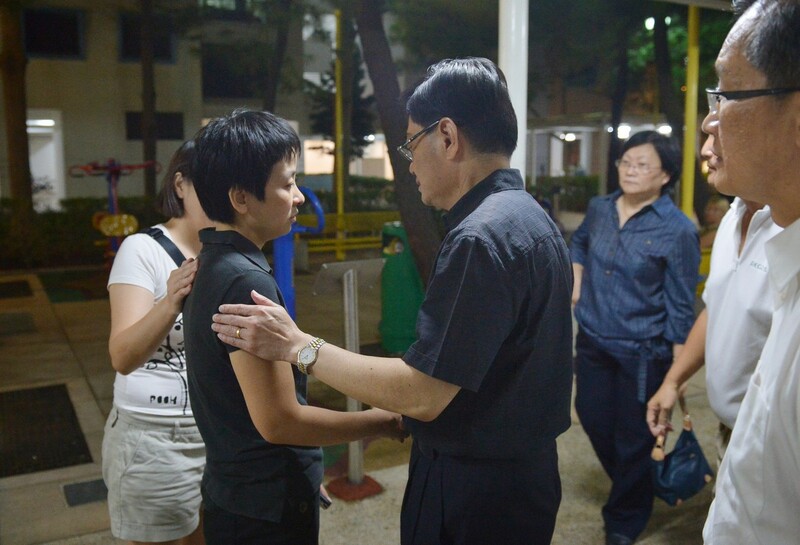 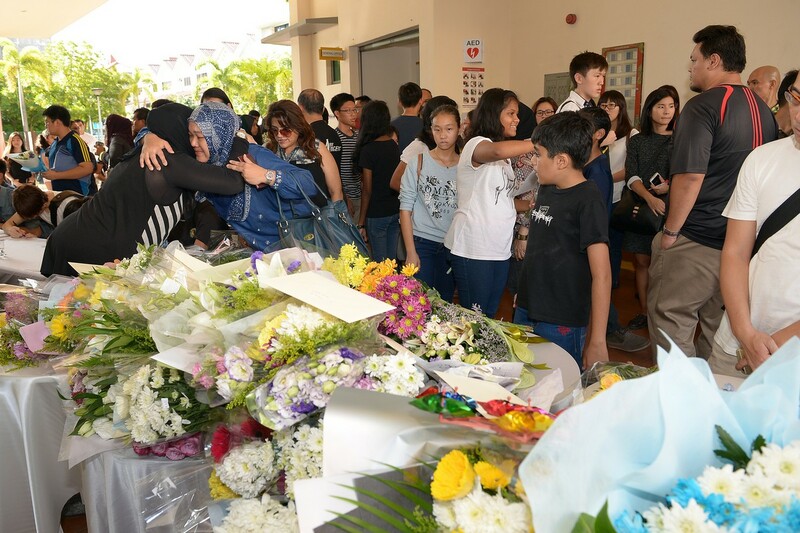 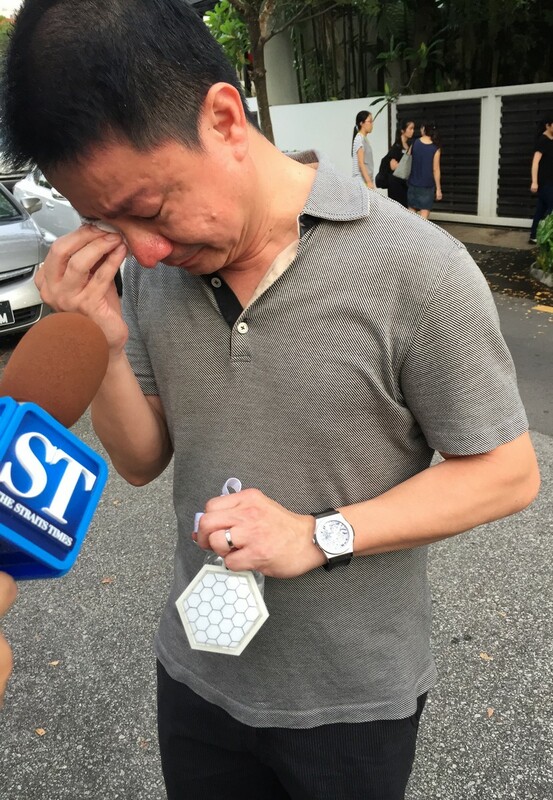 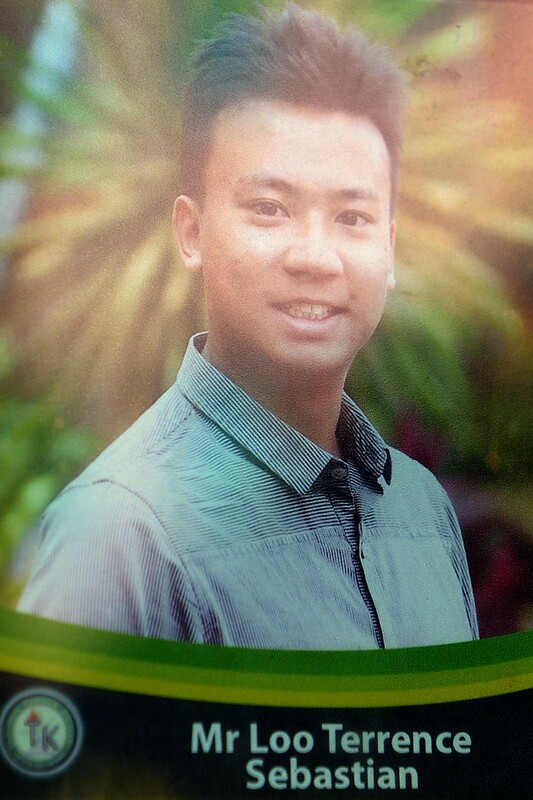 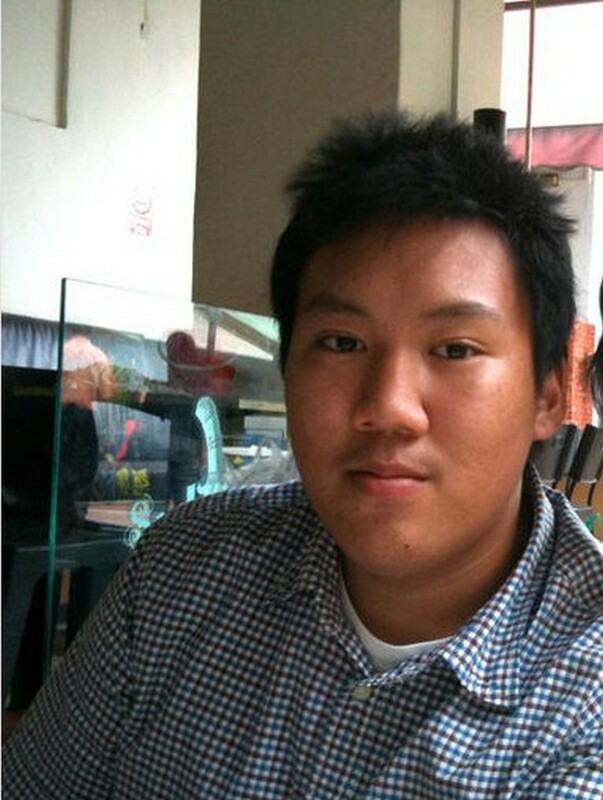 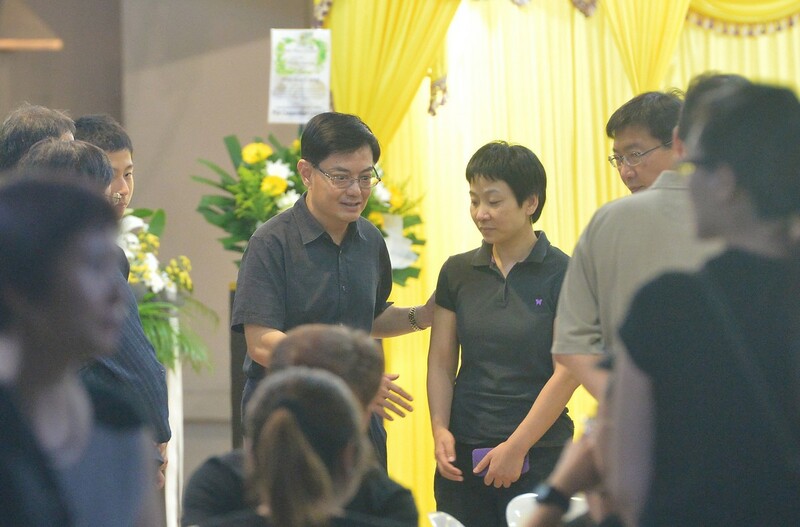 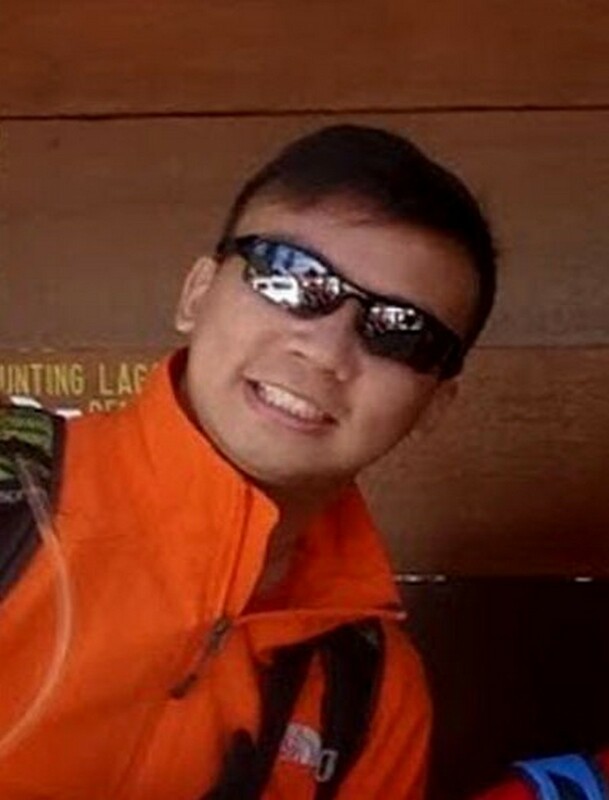 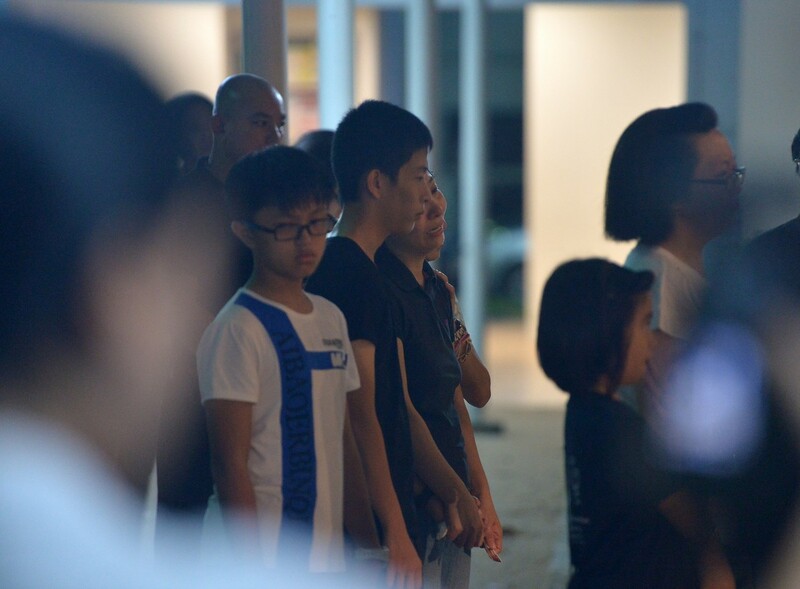 The Tanjong Katong Primary School teacher was described as a vibrant person. 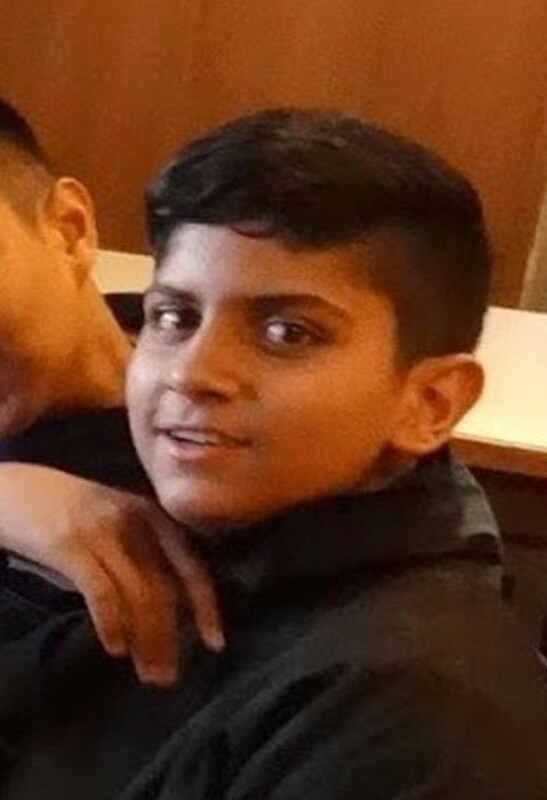 Navdeep Singh Jaryal Raj Kumar, 12, missing. 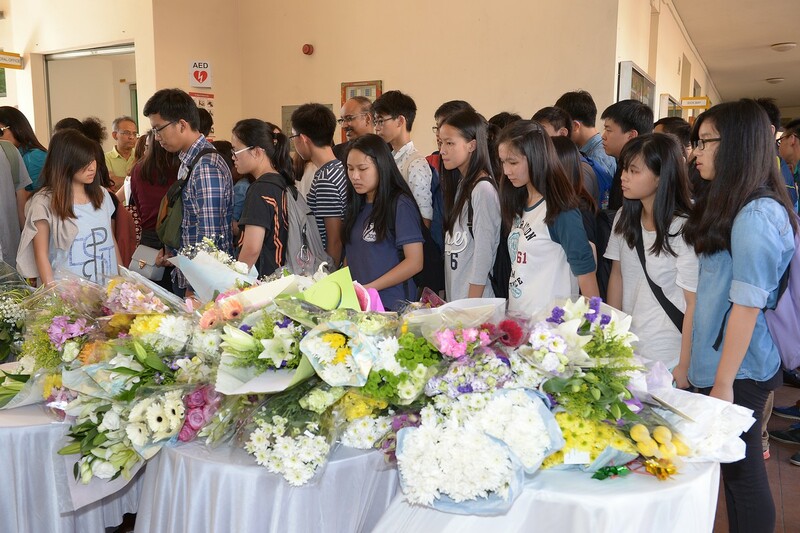 Lianhe Wanbao reported that his father died 2 years ago, and his sister does not know how their mother will cope if something happens to Navdeep. 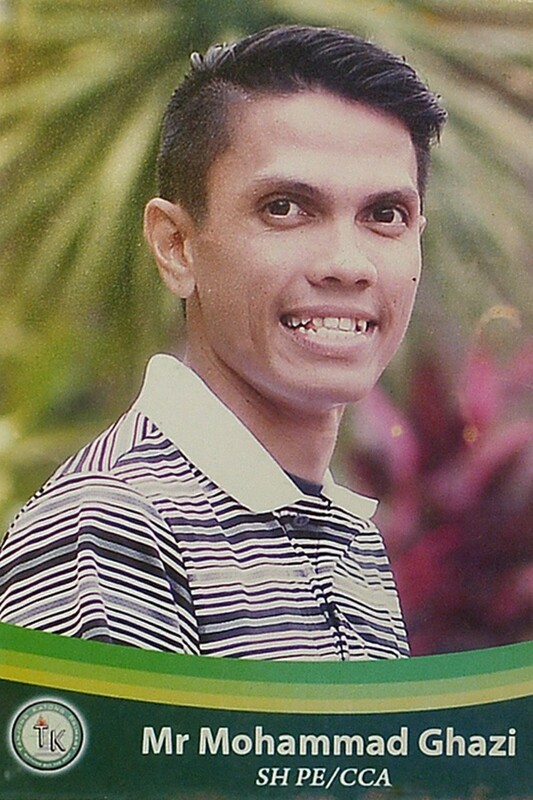 Mohammad Ghazi Mohamed, 35, missing. 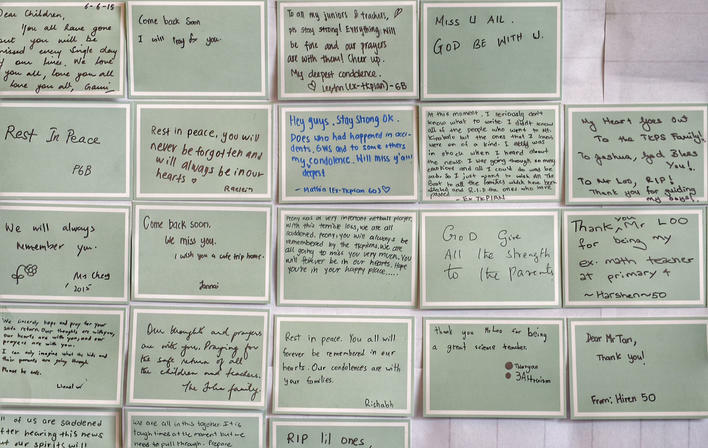 A pupil wrote on Facebook that he was not just a teacher, but someone who lived his life as an example. 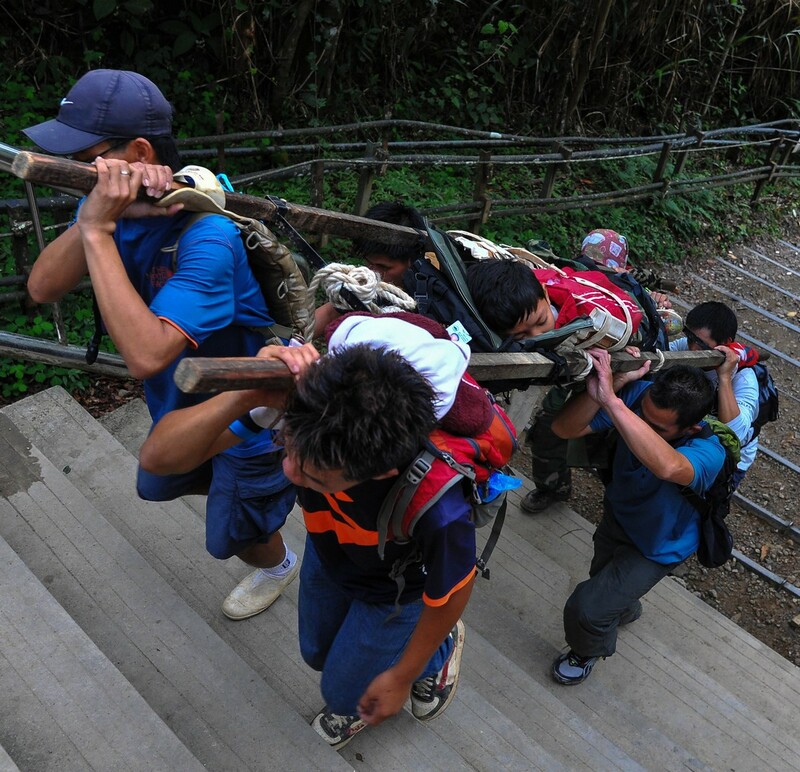 Members of a Malaysian rescue team carrying an injured Singaporean student. 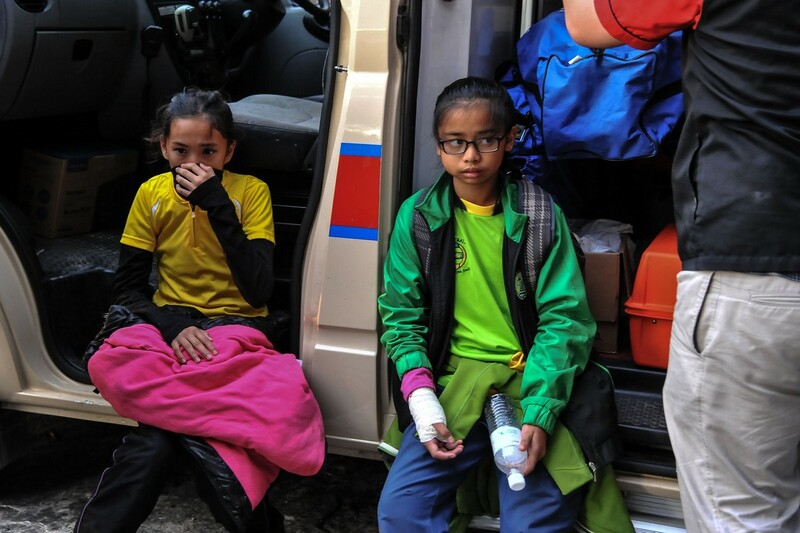 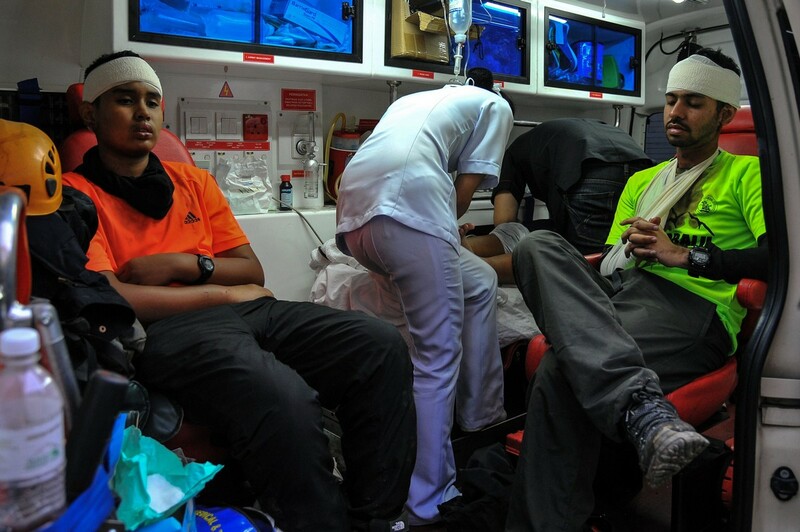 Injured Singaporean students resting after the Sabah earthquake. 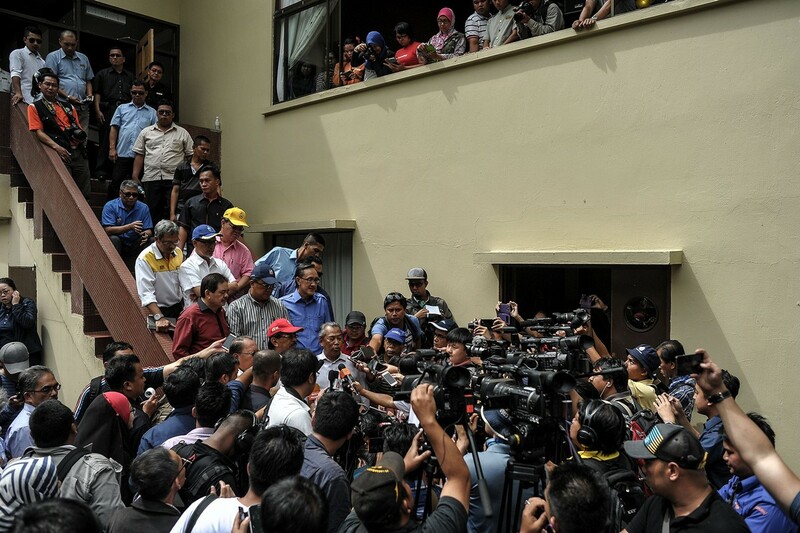 Malaysia's Deputy Prime Minister Muhyiddin Yassin speaks to journalists after being evacuated following an aftershock. 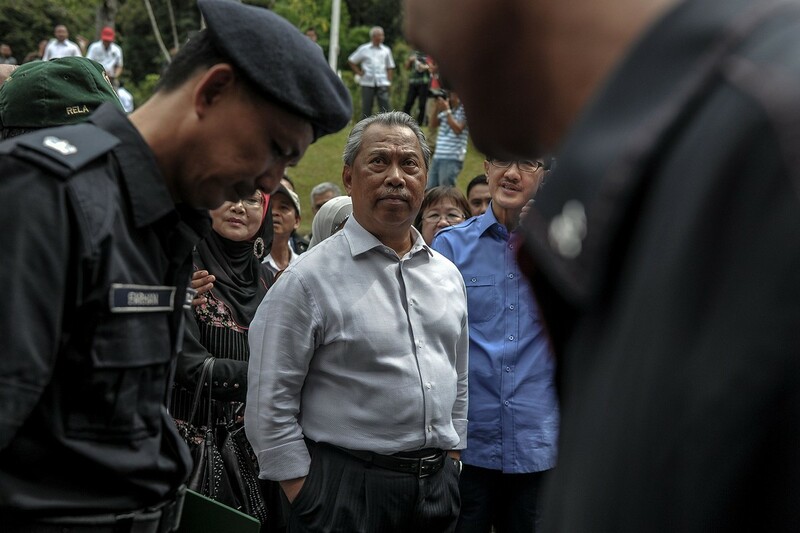 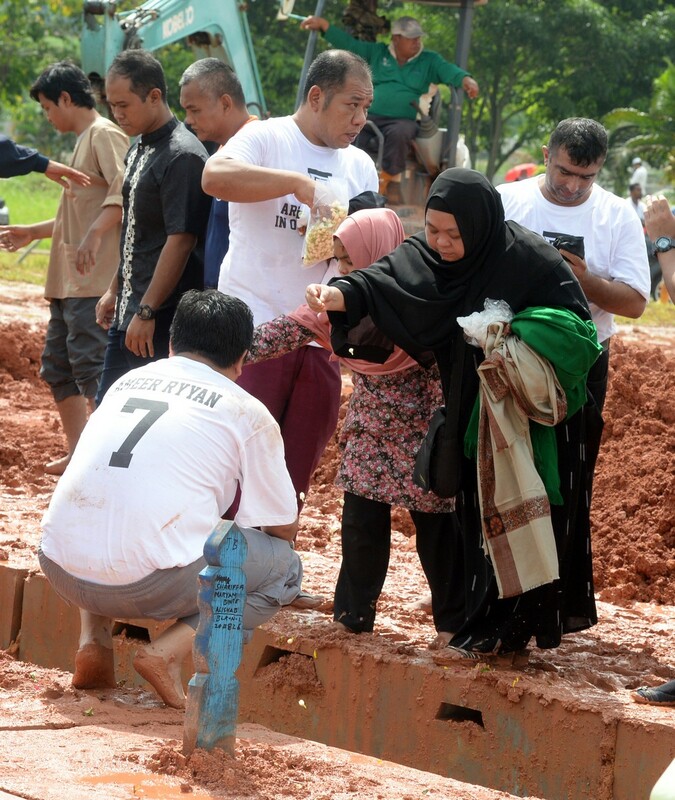 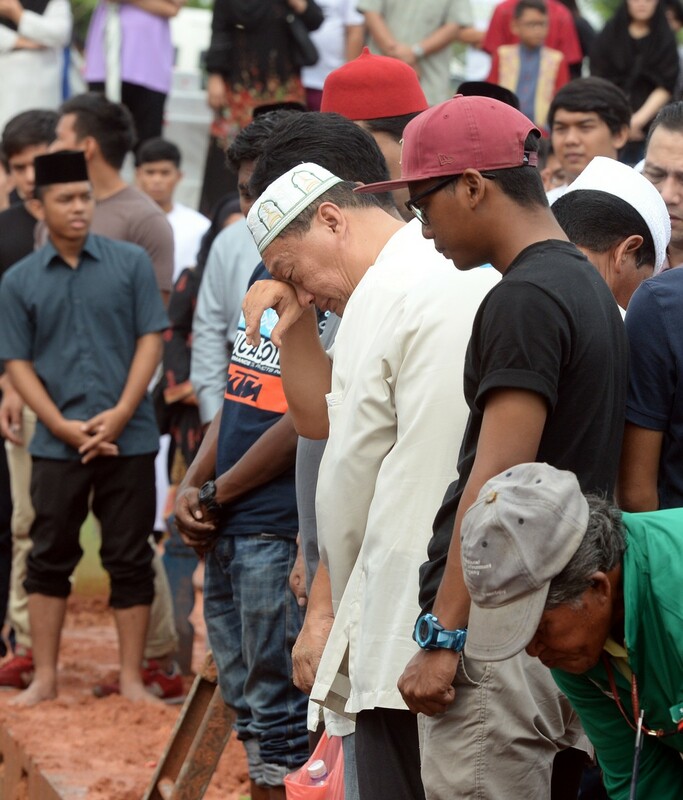 Malaysia's Deputy Prime Minister Muhyiddin Yassin waits after being evacuated following an aftershock. 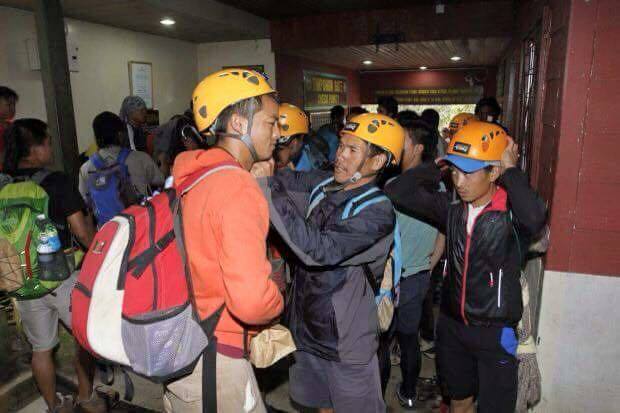 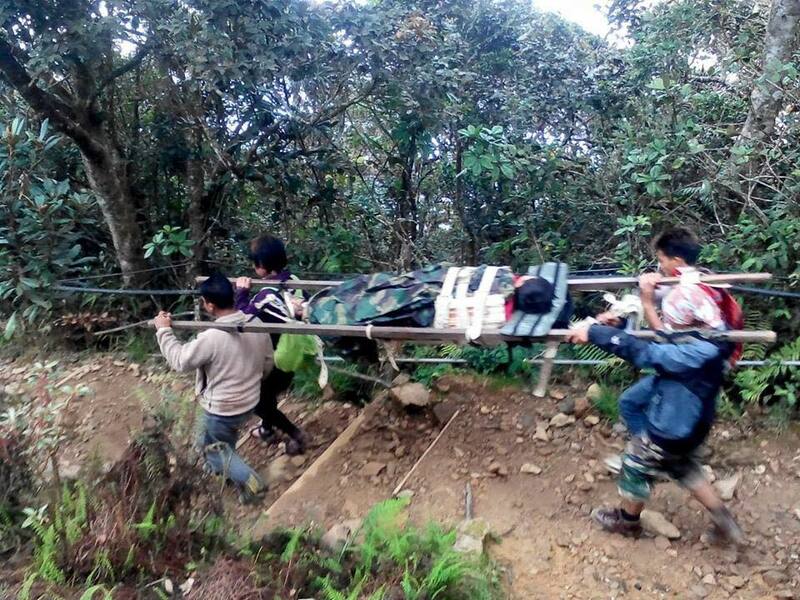 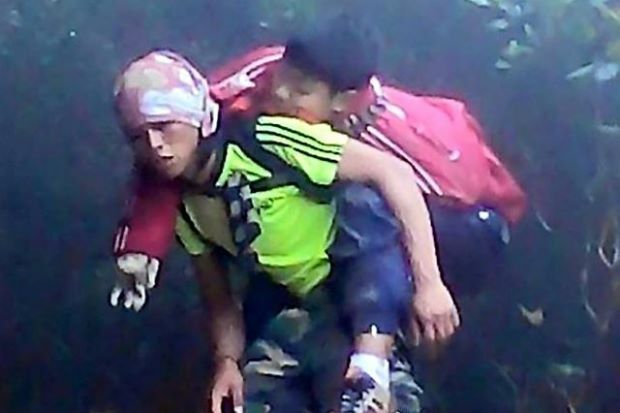 A photo of a sprightly mountain guide carrying an injured boy on his back has been making its rounds on social media. 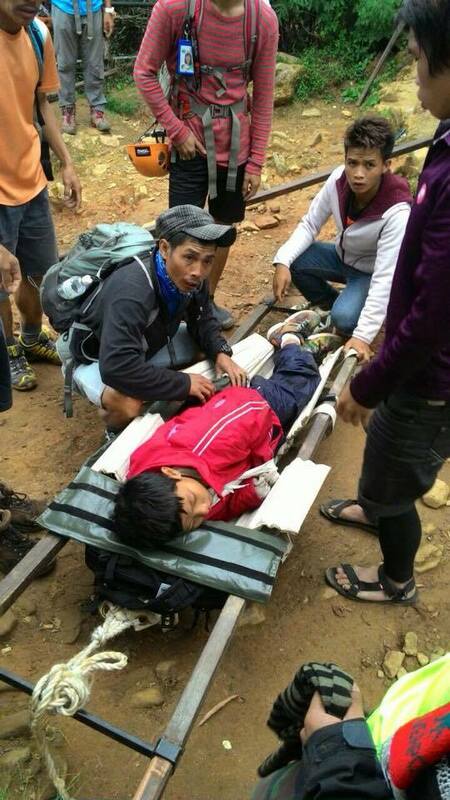 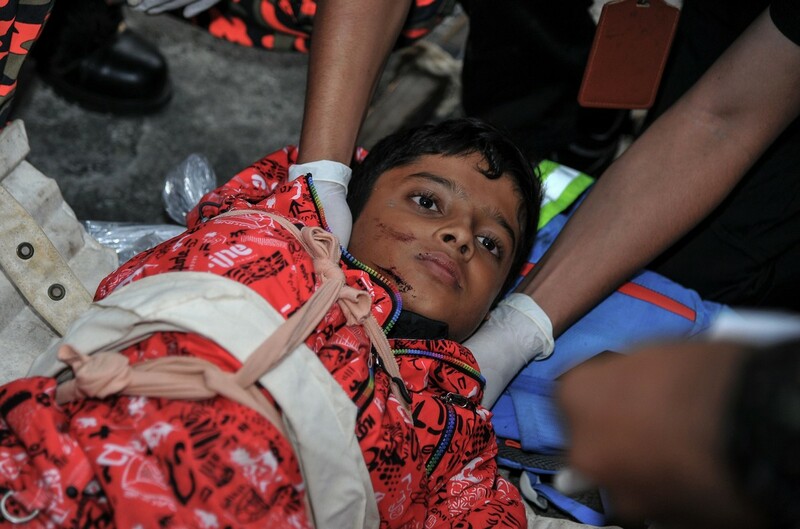 But Mhd Rizuan Kauhinin, 25, said all that mattered was to bring the boy to safety. 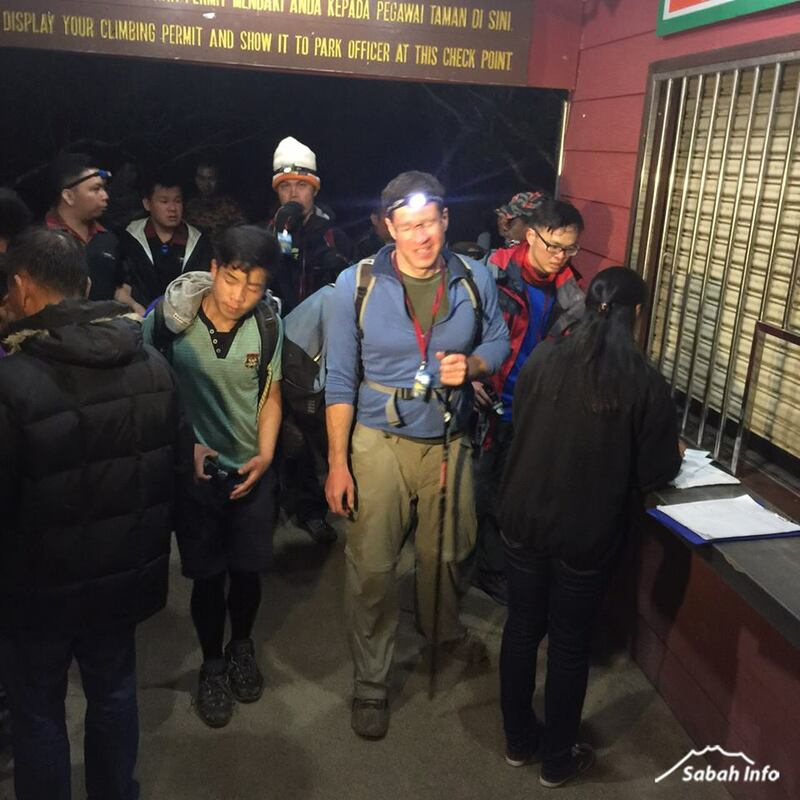 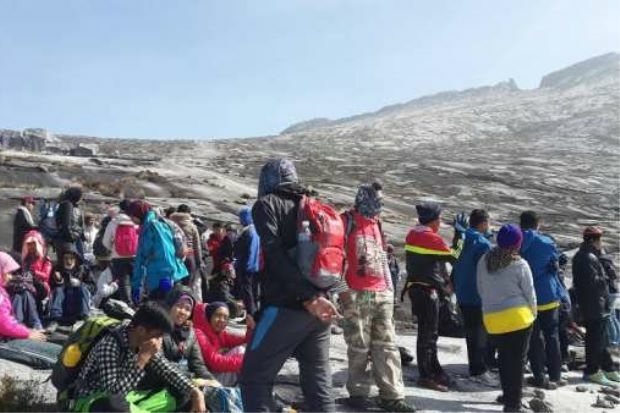 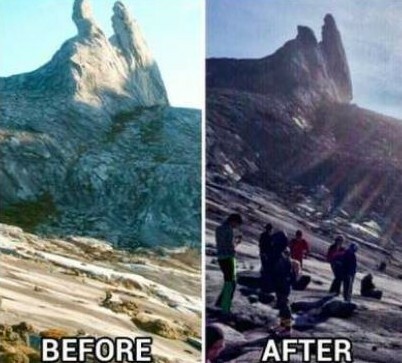 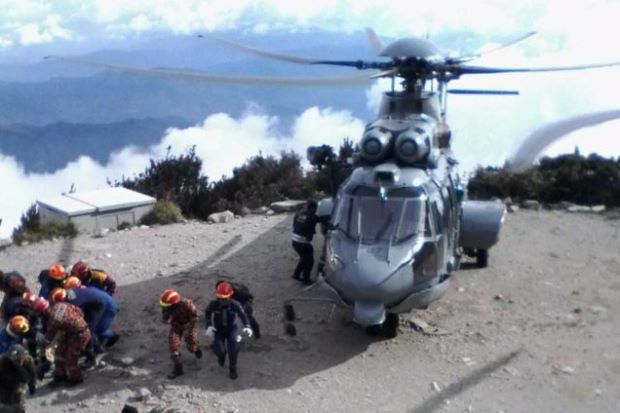 Adverse weather was the main reason why helicopters could not be used to rescue stranded climbers near the summit of Mount Kinabalu following Friday's earthquake. 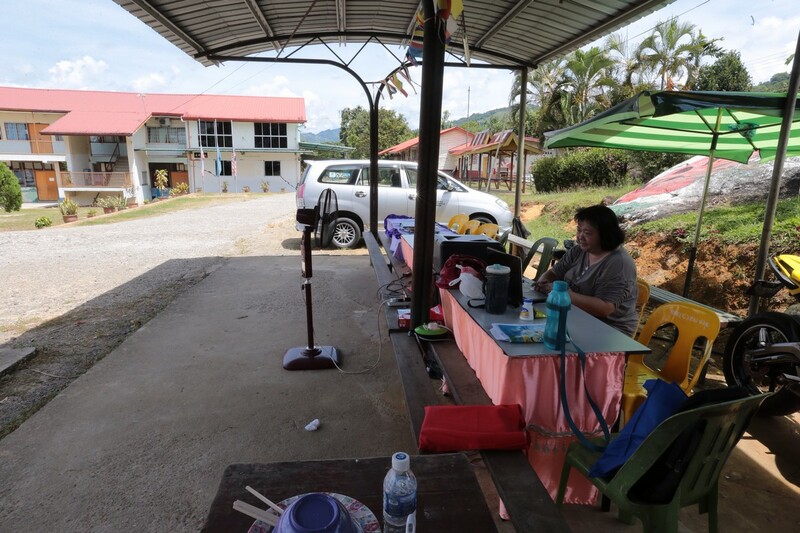 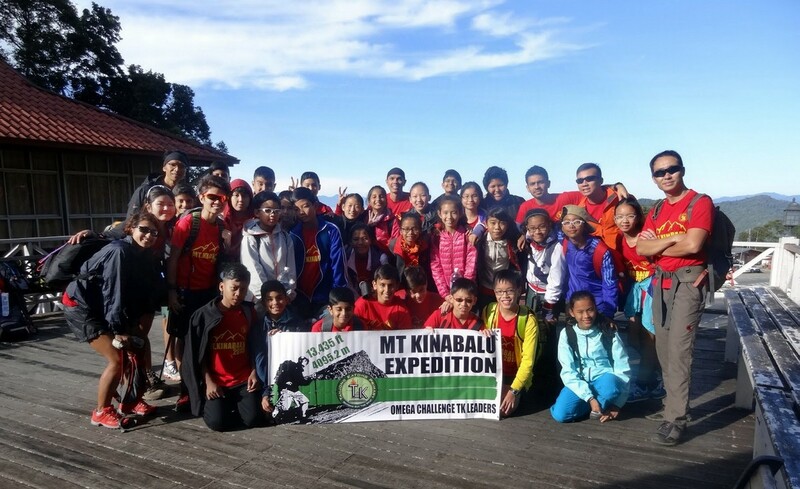 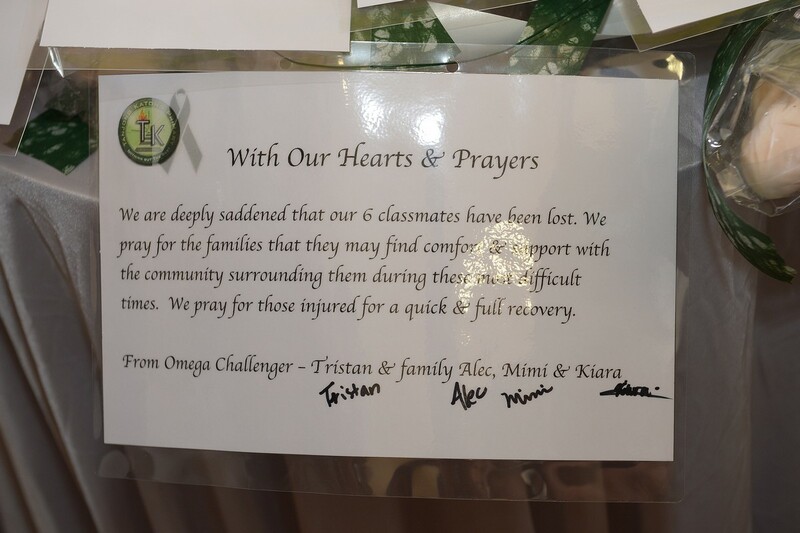 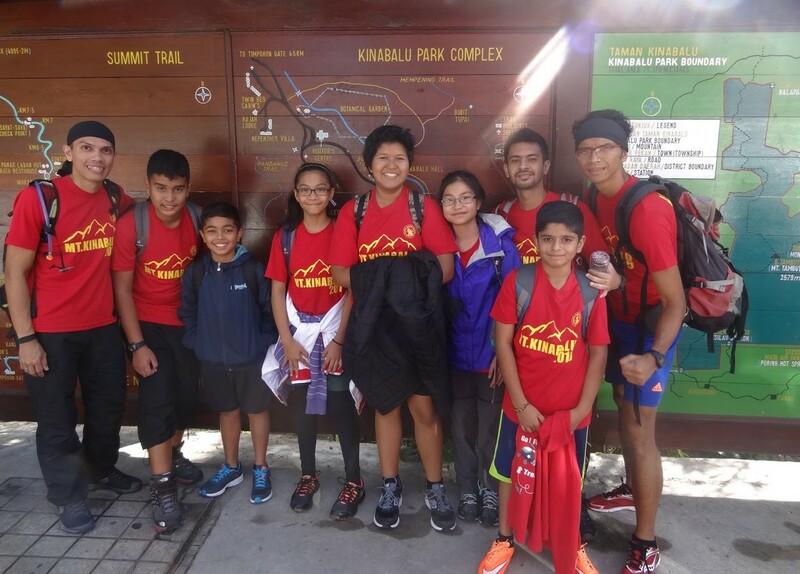 8 pupils and 2 teachers from Singapore's Tanjong Katong Primary School who are at Mount Kinabalu, Sabah remained unaccounted for on Friday night. 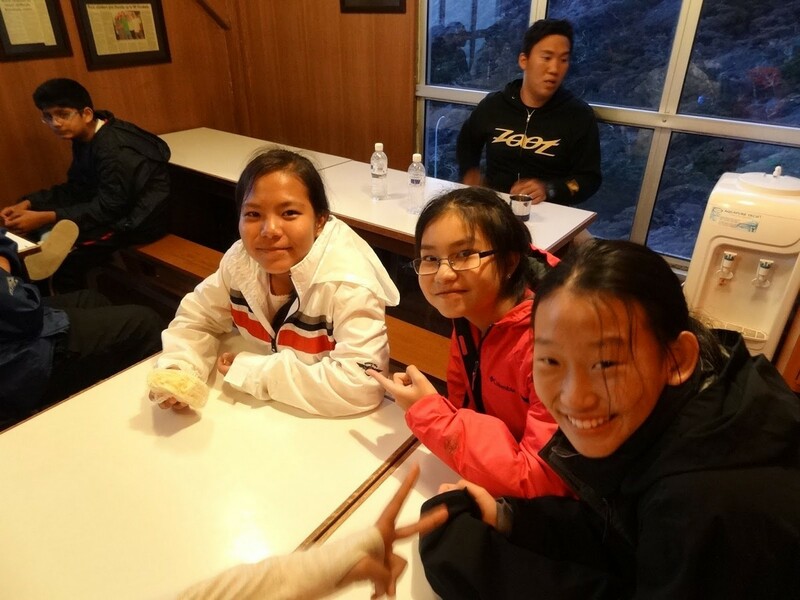 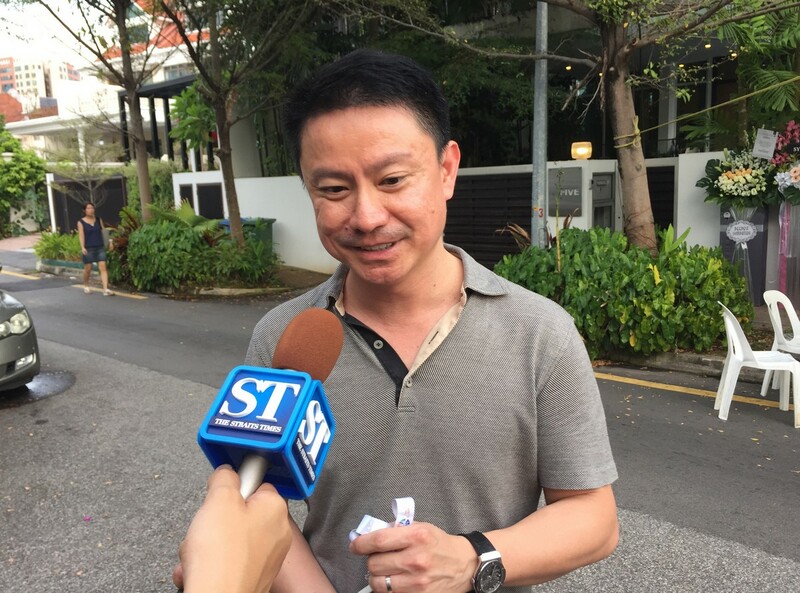 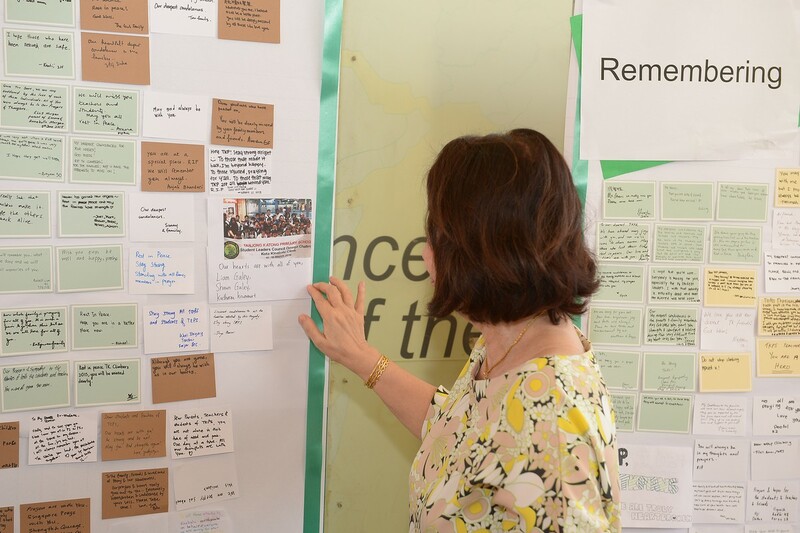 MOE had accounted for all of the other Singapore students and teachers in the area on learning trips, including 21 other pupils and six other teachers from TKPS, as well as two groups from Fuchun Secondary School and Greenridge Secondary School. 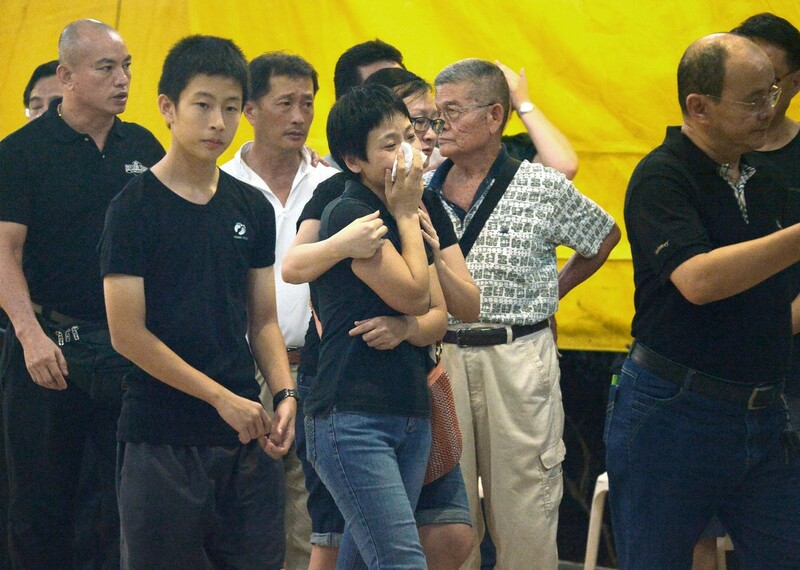 "We are doing our best to reach the Singaporeans who remain uncontactable at this point in time," MFA said. 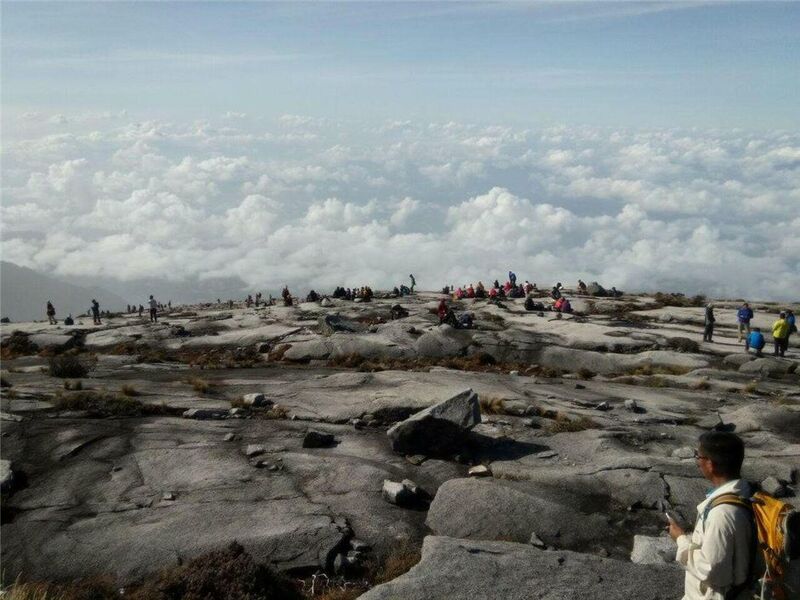 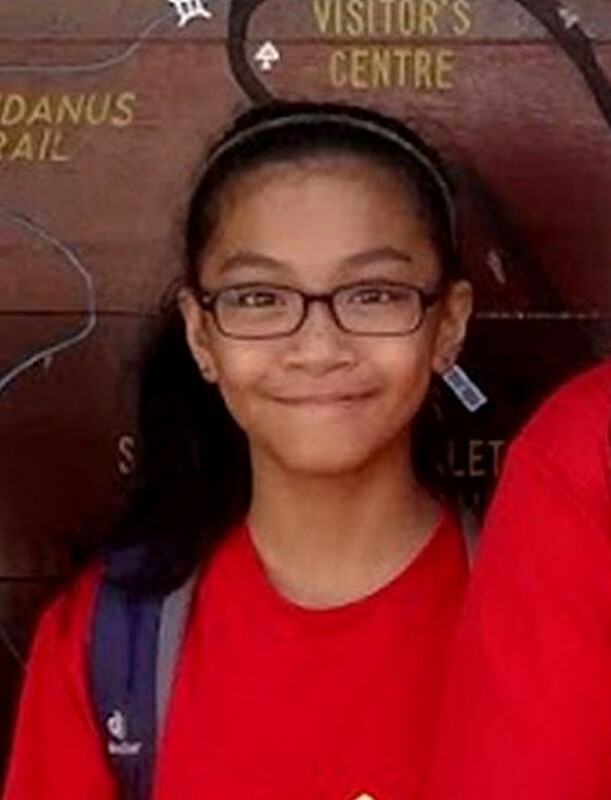 Malaysian officials confirmed that the body of a 12-year-old Singaporean girl has been found in Mount Kinabalu, The New Paper reported on Saturday morning. 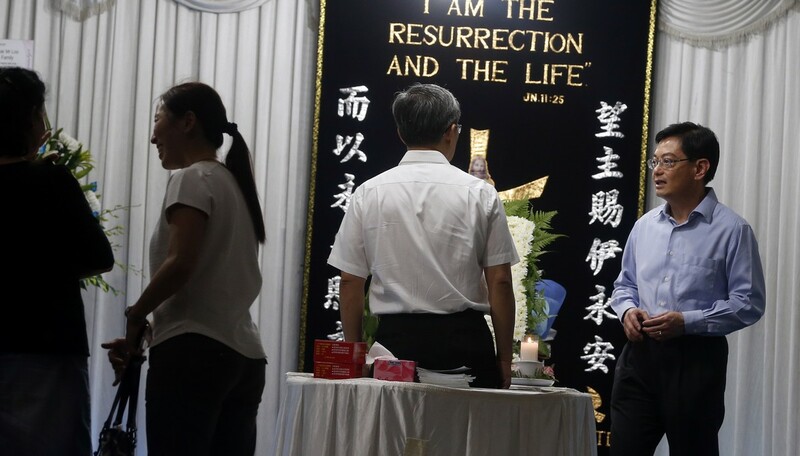 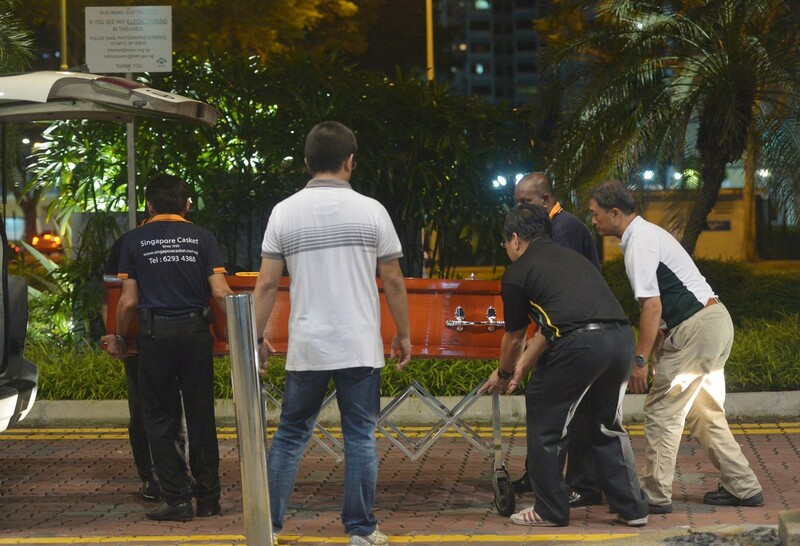 Singapore authorities have yet to confirm the death. 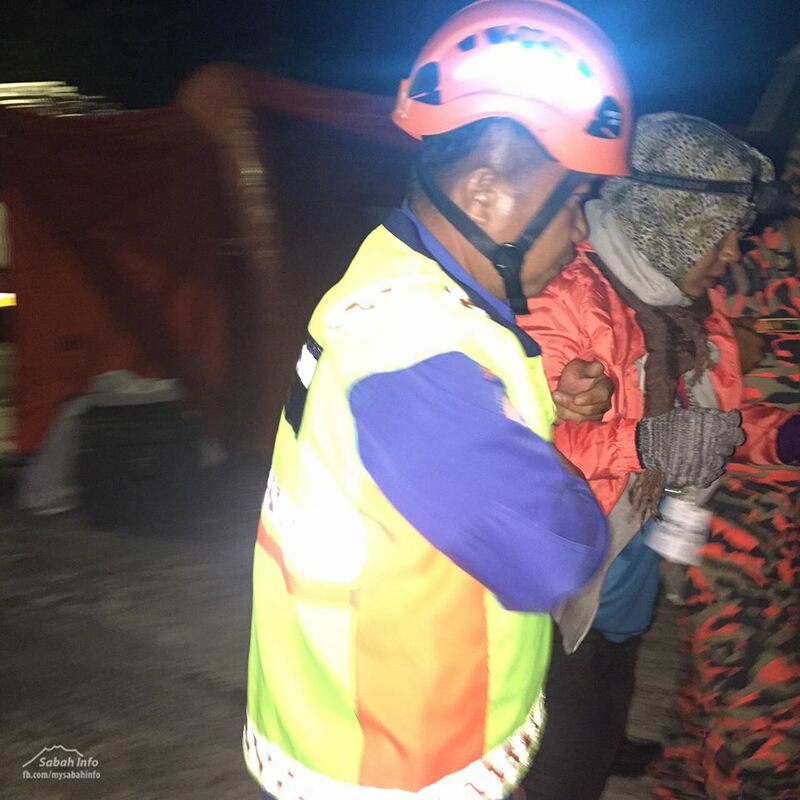 The girl was reported to be among two bodies brought down from the mountain after a 6.0 magnitude earthquake hit Sabah on Friday. 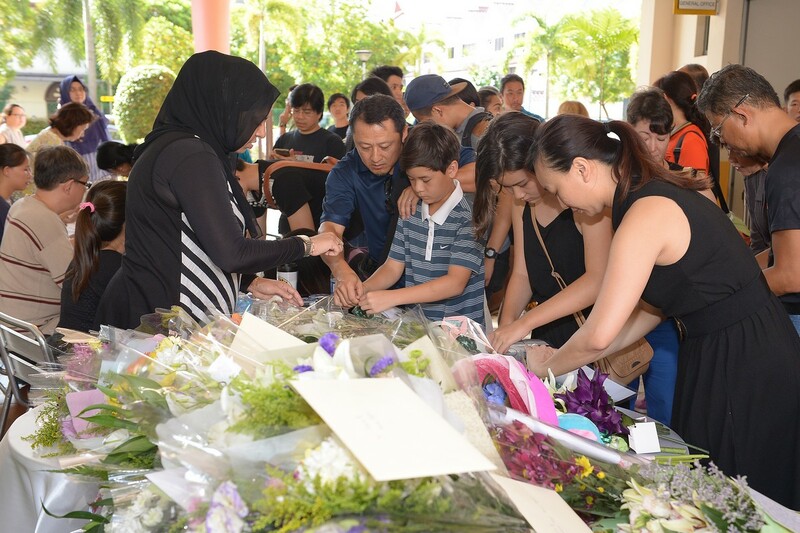 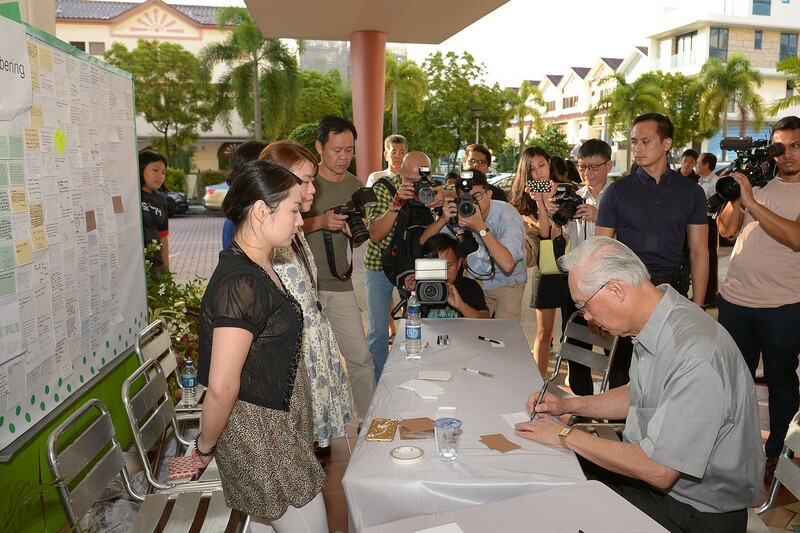 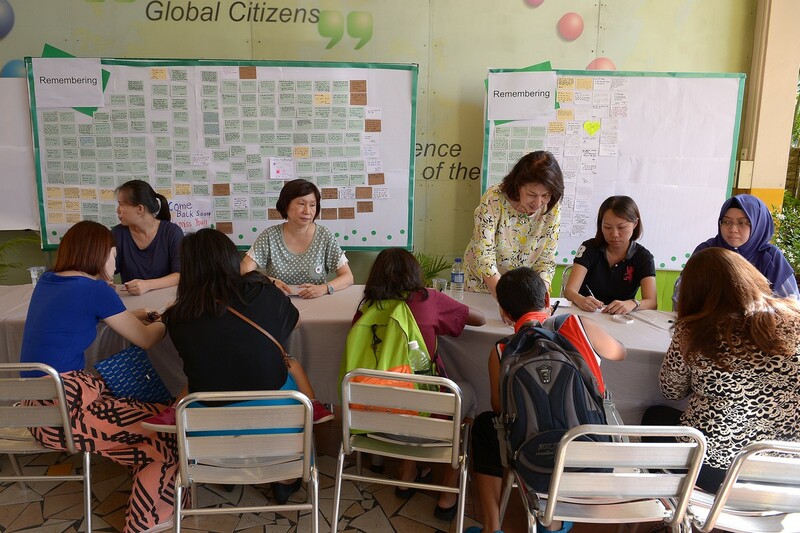 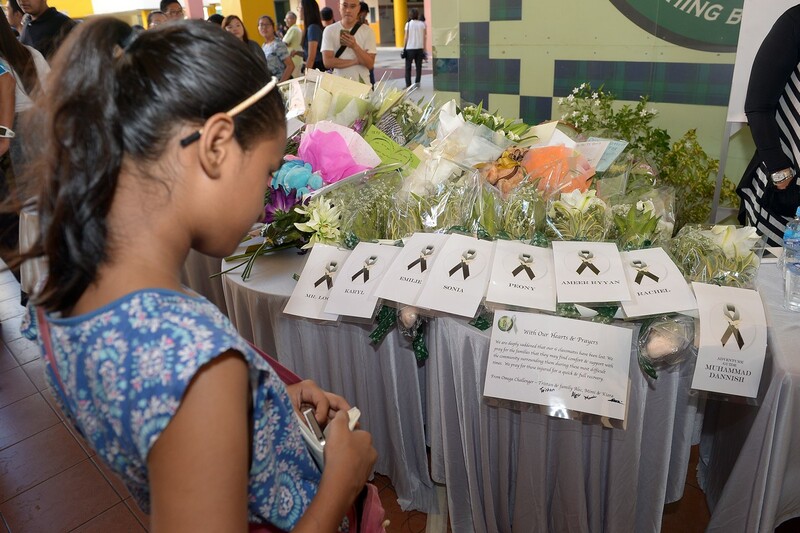 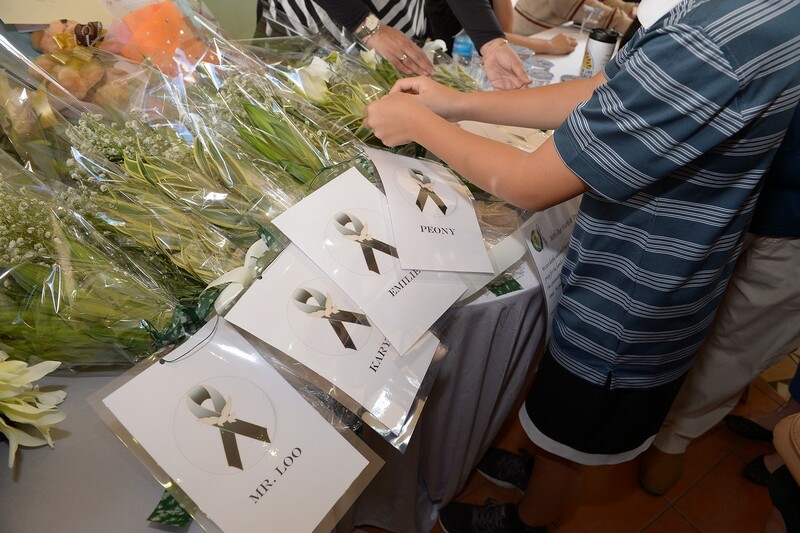 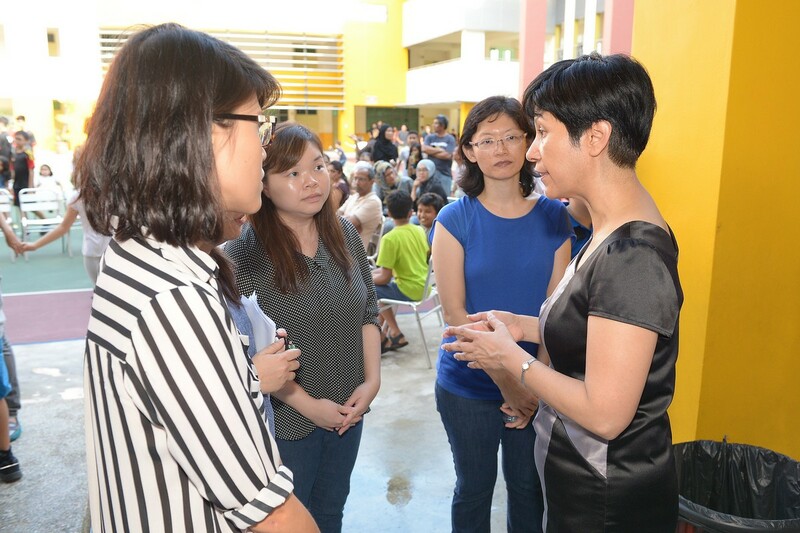 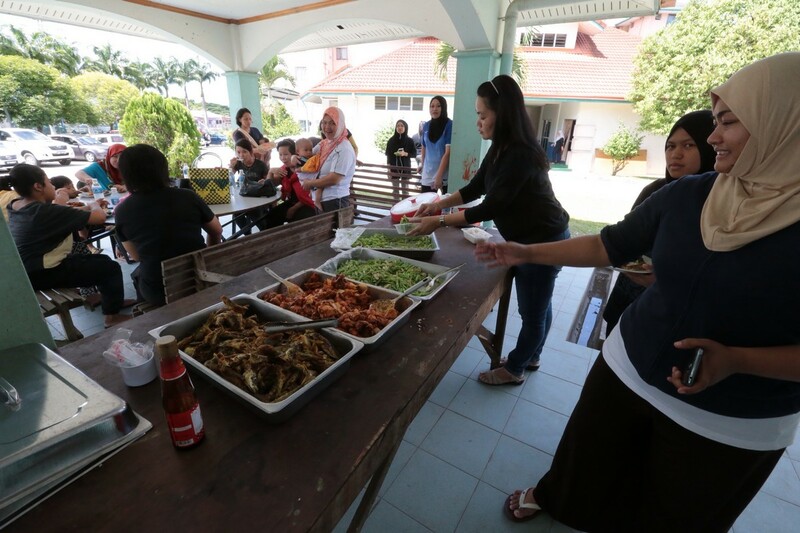 Arrangements have been made for the parents of the children to travel to Kota Kinabalu today. 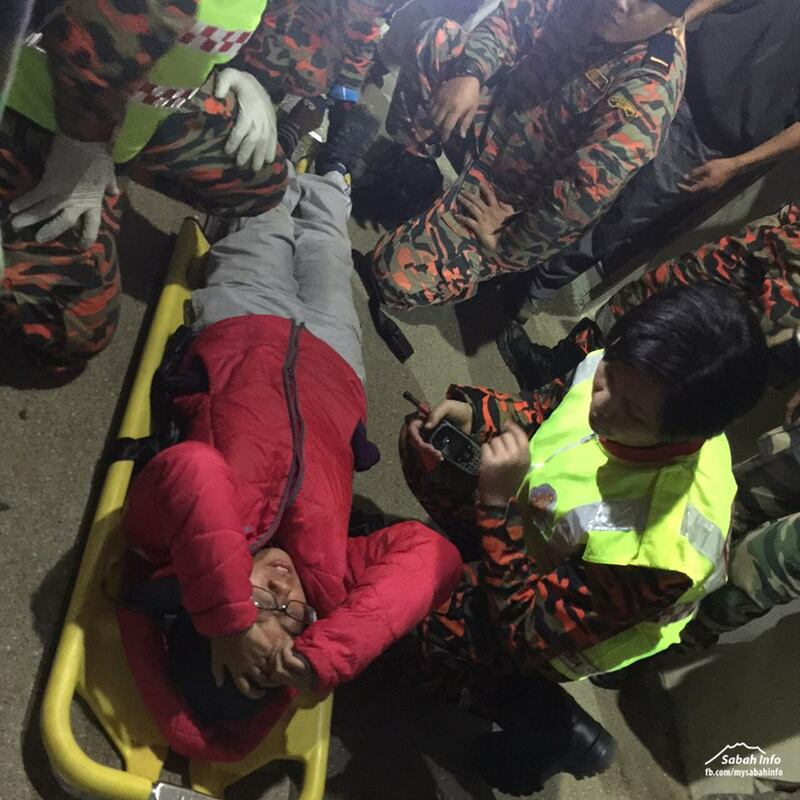 Deputy Prime Minister Teo Chee Hean said in a Facebook post that MOE officials, counsellors, and Home Team medical and liaison officers will also be making the trip. 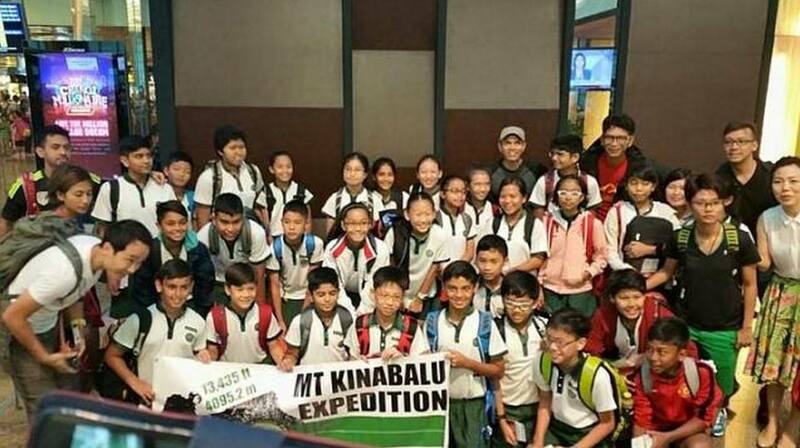 TNP also reported that a total of 58 students and eight teachers from Greenridge Secondary School and Fuchun Secondary School returned to Singapore from Sabah early this morning. 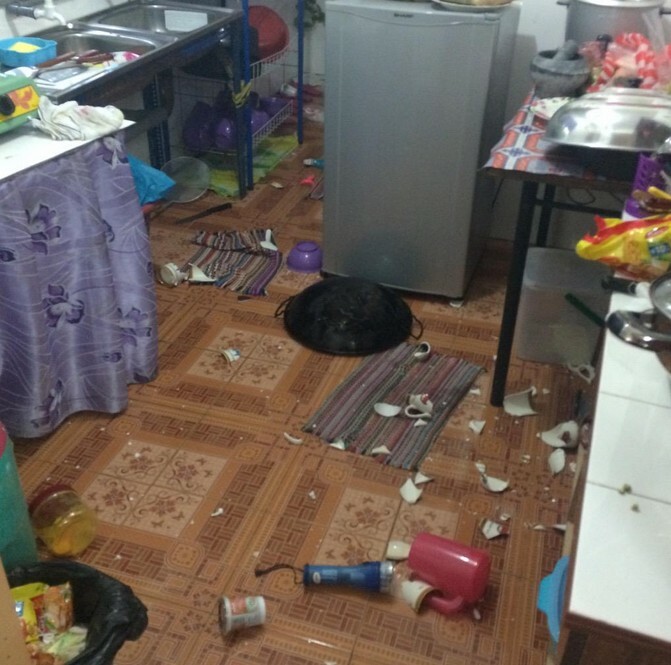 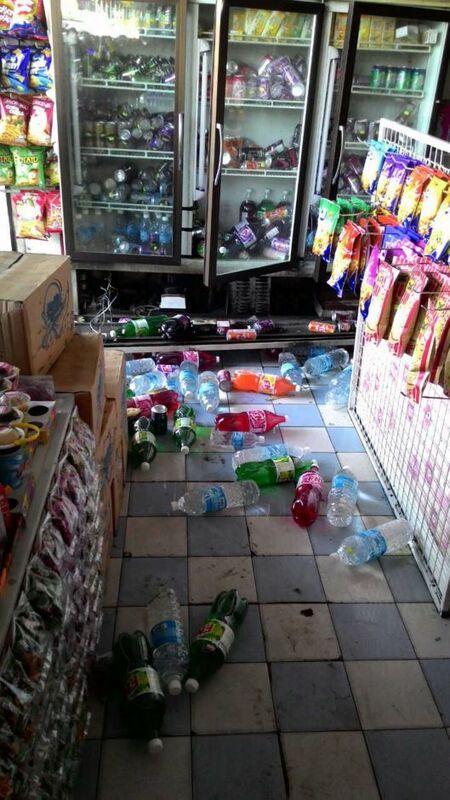 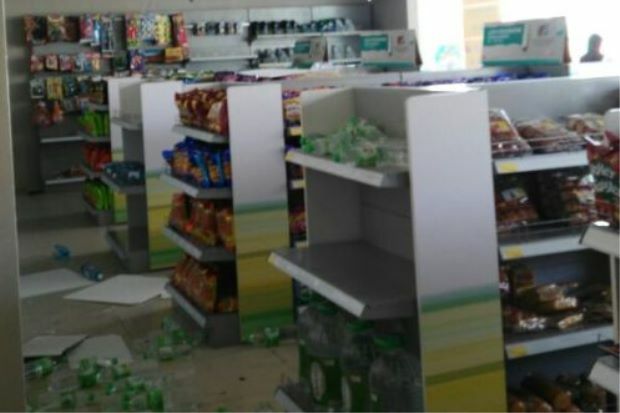 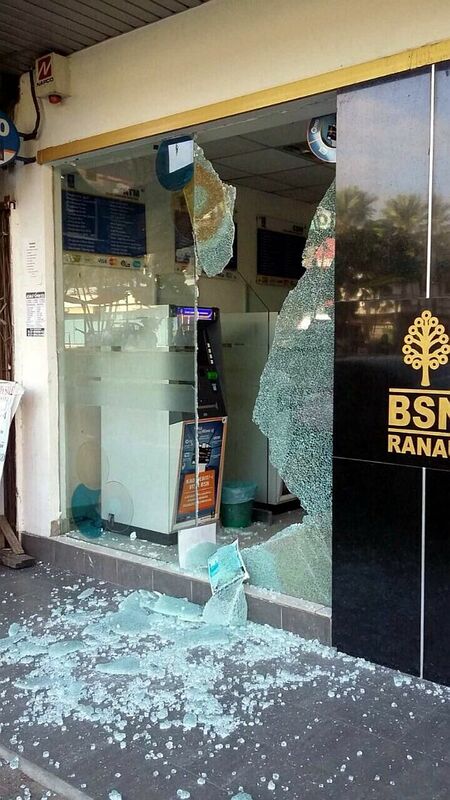 At least one person died and two others injured following the earthquake in Sabah. 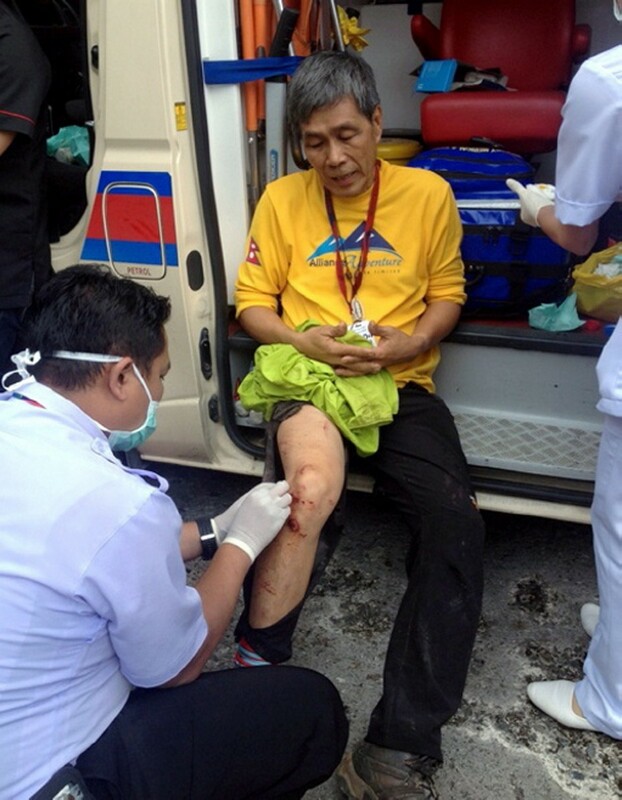 Lee Yoke Fah, 60, from Kuala Lumpur receiving treatment for his injuries sustained in the earthquake. 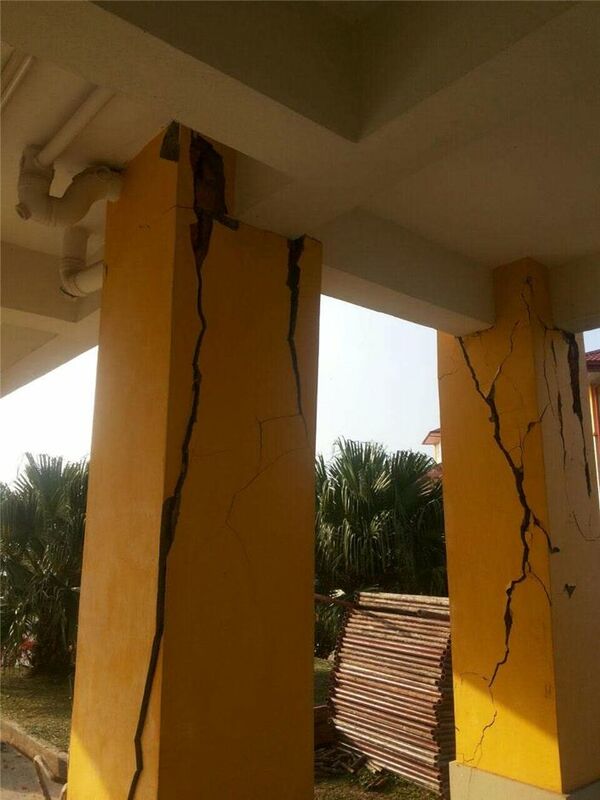 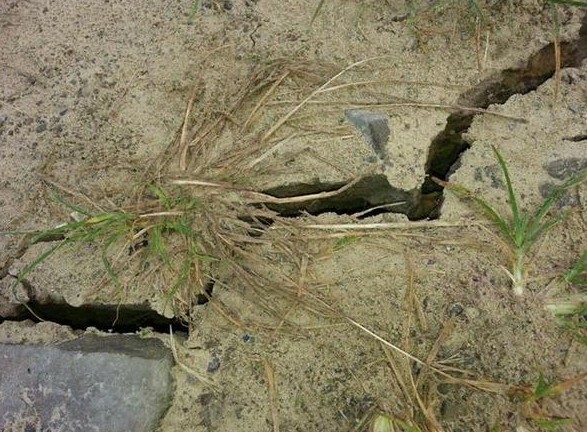 Tremors shook Kota Kinabalu and other parts of Sabah’s west coast on Friday after a magnitude 5.9 earthquake hit near Ranau district. 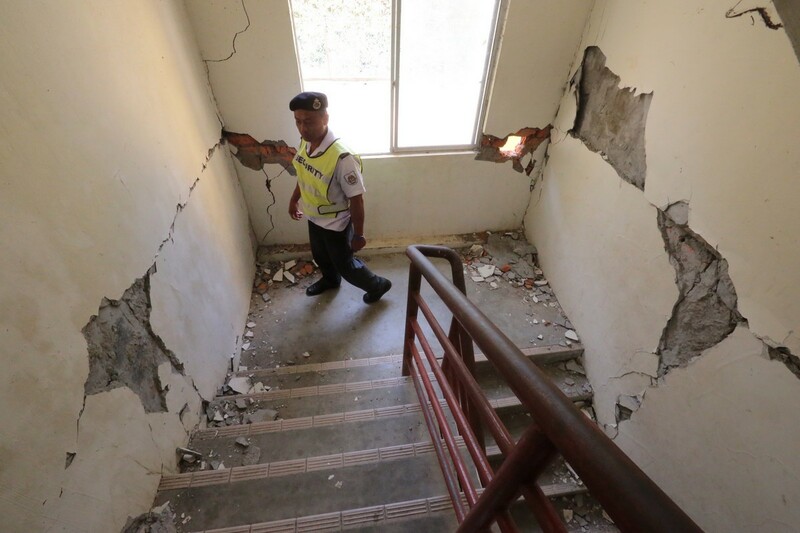 Initial reports from the Malaysian Meteorological Services Department said the quake struck 16km northwest of Ranau at 7.17am. 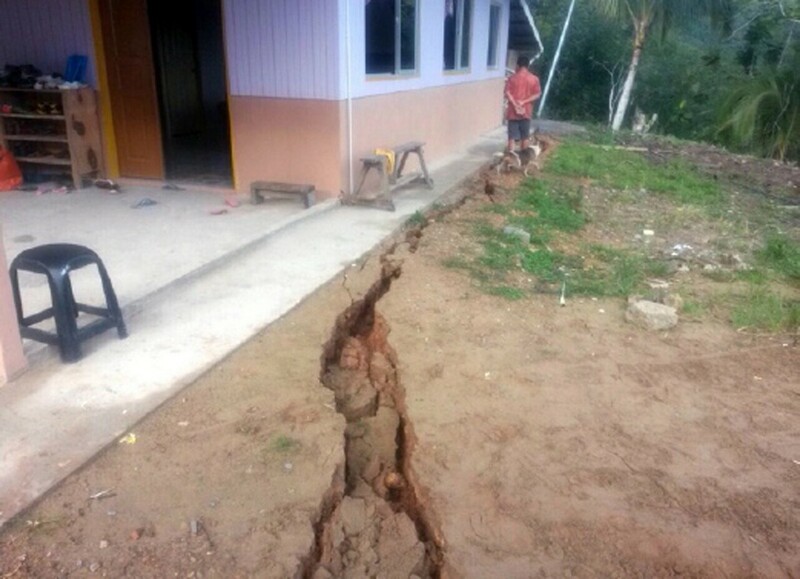 It said that the strong quake struck at a depth of 10km, with its epicentre located 19km from the town of Ranau, and 54km from Kota Kinabalu. 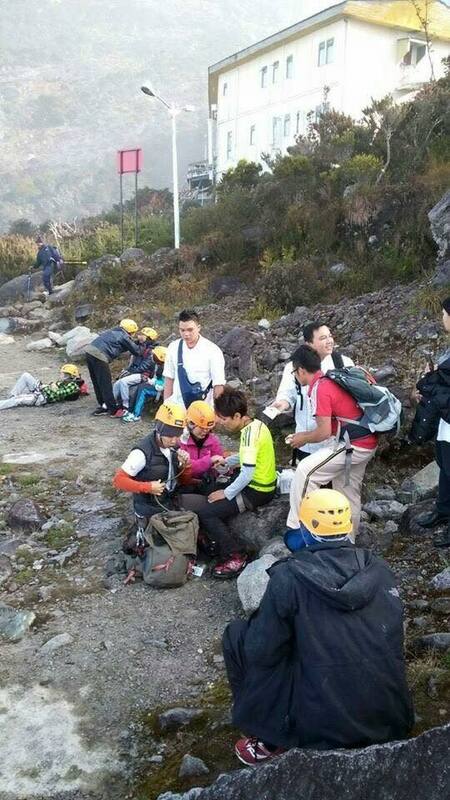 Climber Charlene Dmp wrote on Facebook that she and 11 other climbers are now waiting for the helicopter to rescue them. 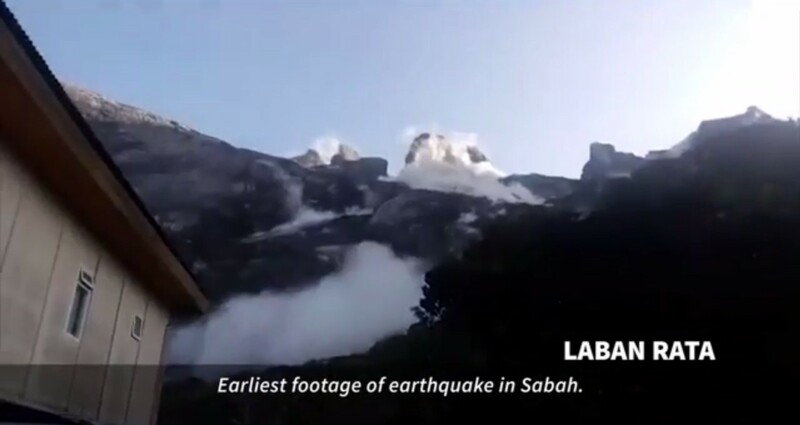 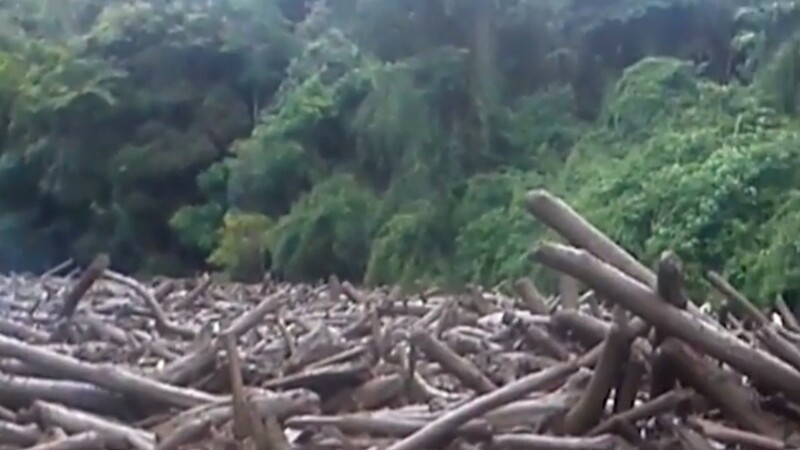 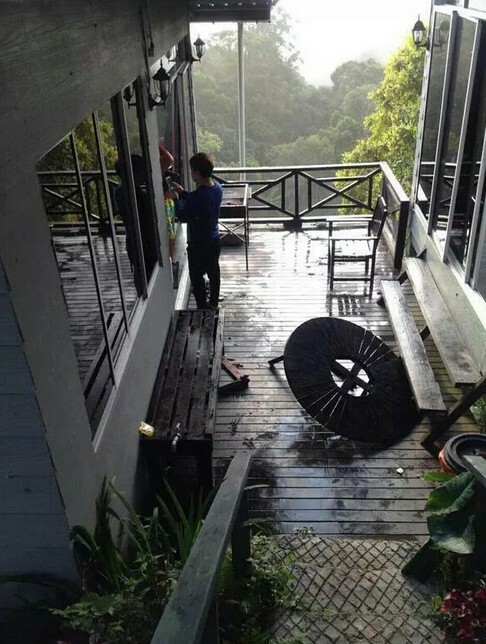 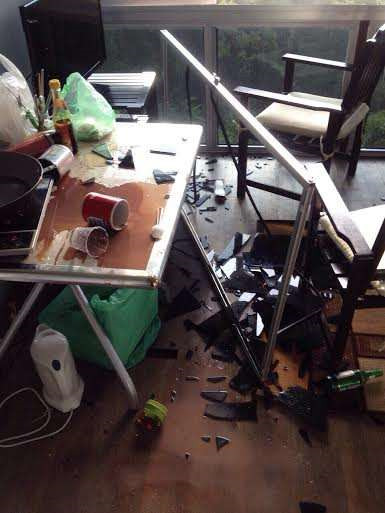 Cell phone video captured a landslide on Mount Kinabalu after the quake hit.